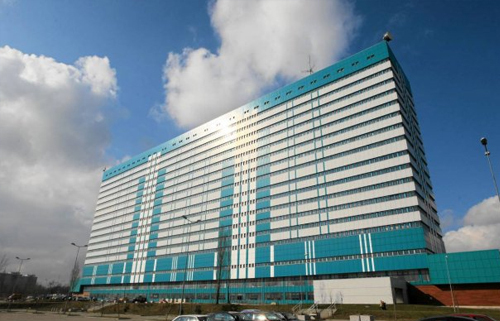 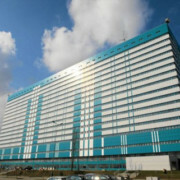 The implementation included addition of 5th storey of the hospital building intended for the operating block in modular technology, along with the full medical infrastructure. 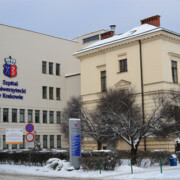 Anaesthesiology and intesive care departments have been enlarged. 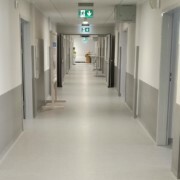 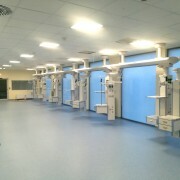 New hospital floor has been equipped with medical equipment. 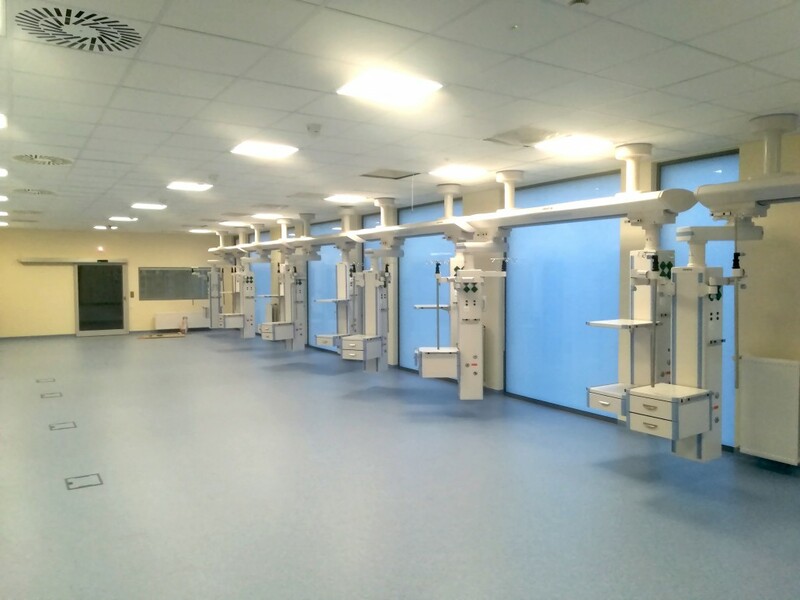 As part of implementation, 5 new operating rooms were created. 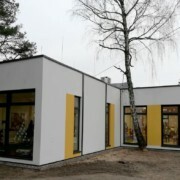 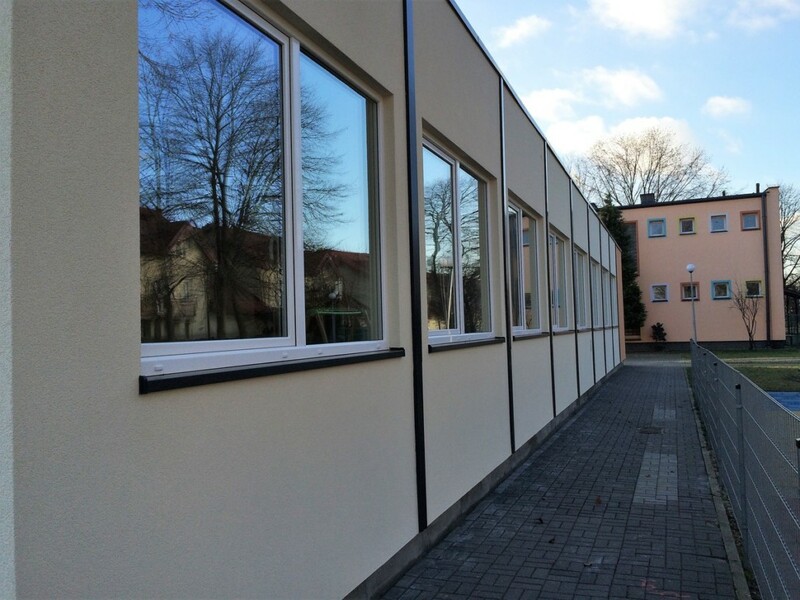 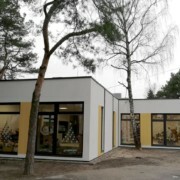 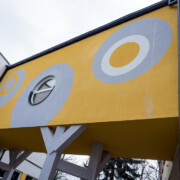 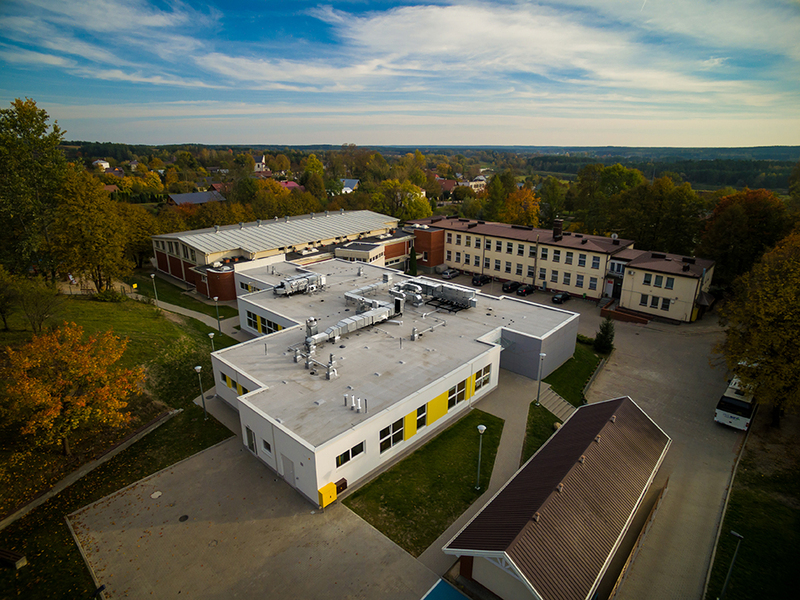 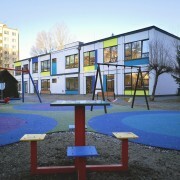 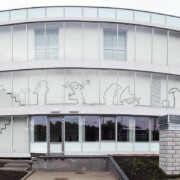 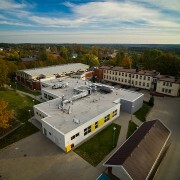 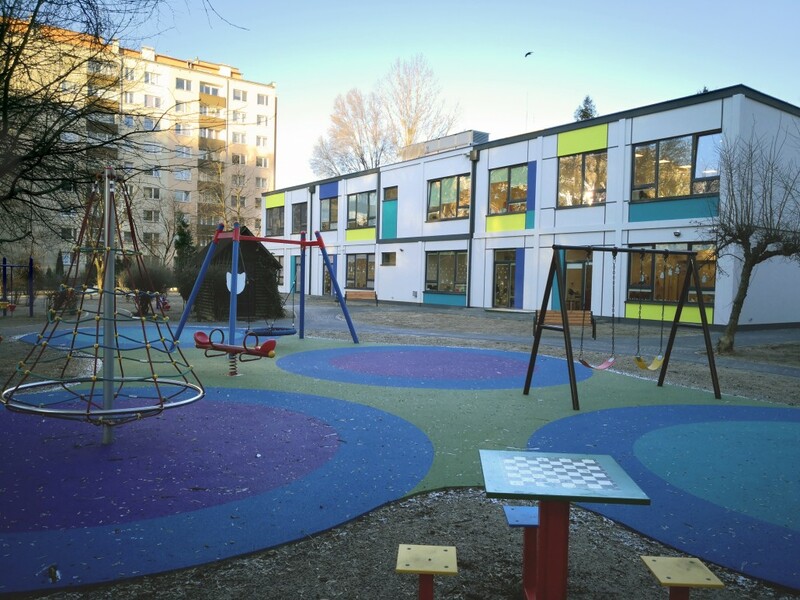 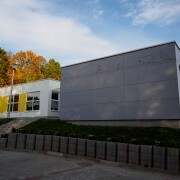 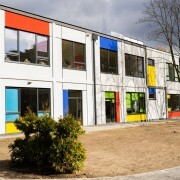 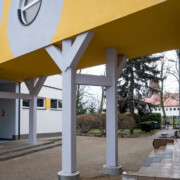 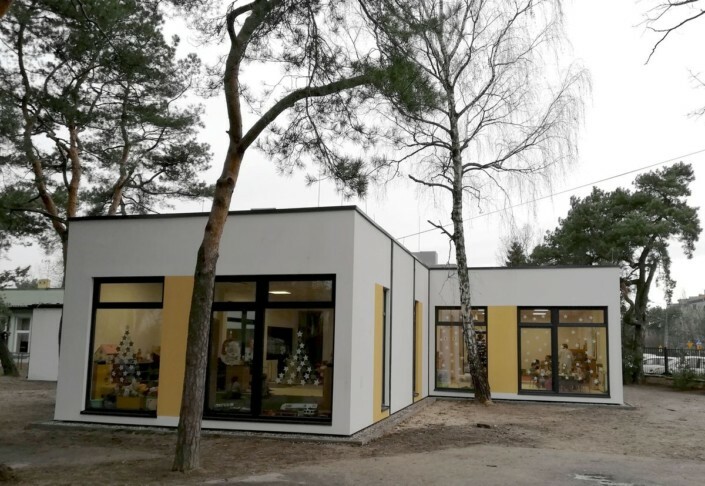 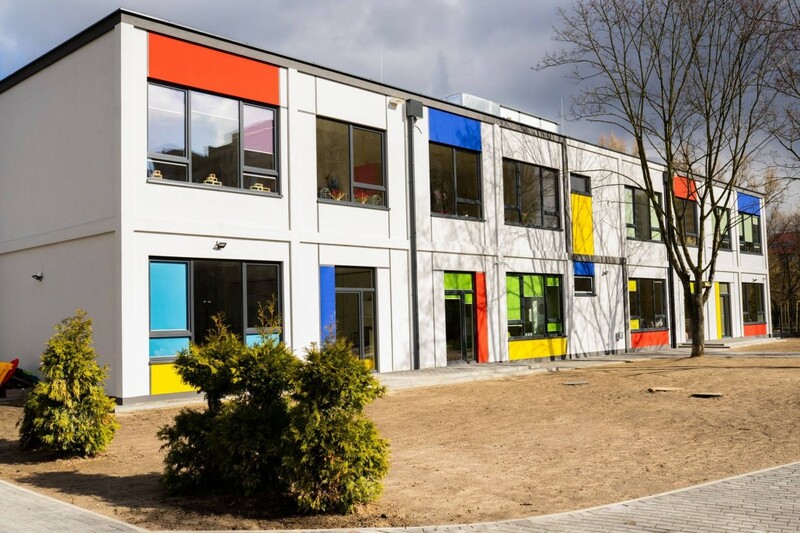 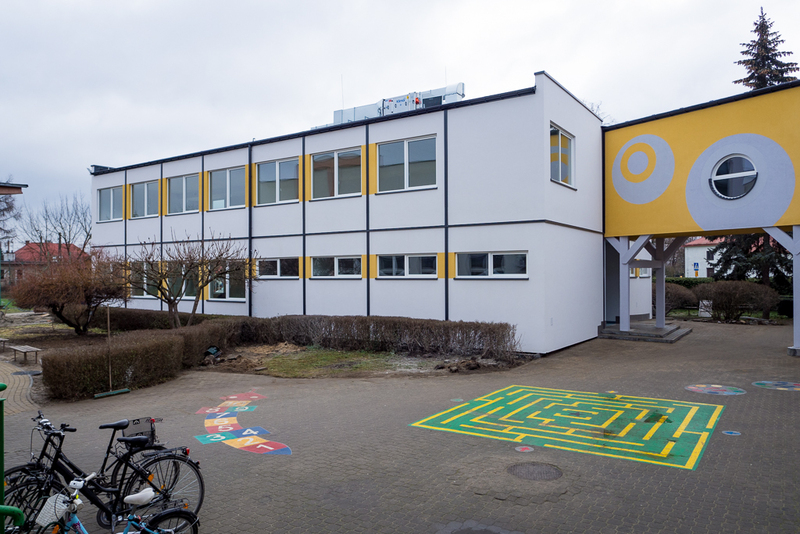 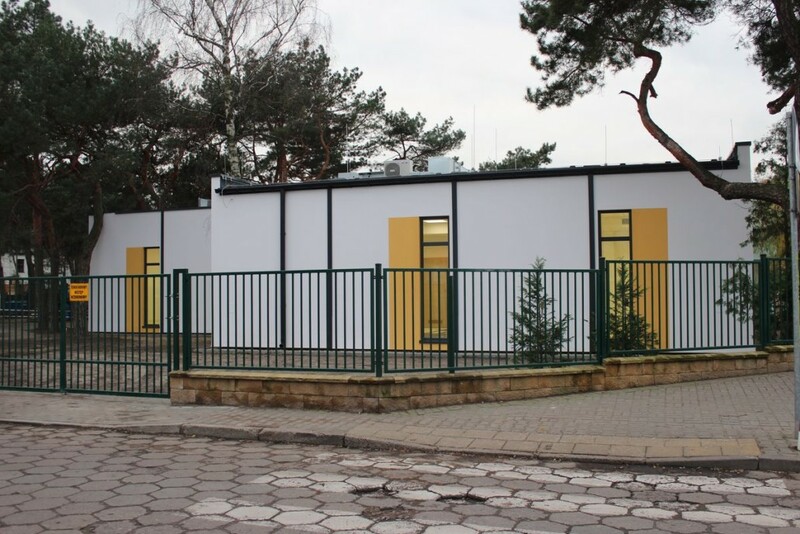 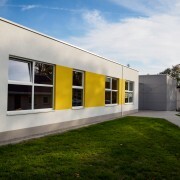 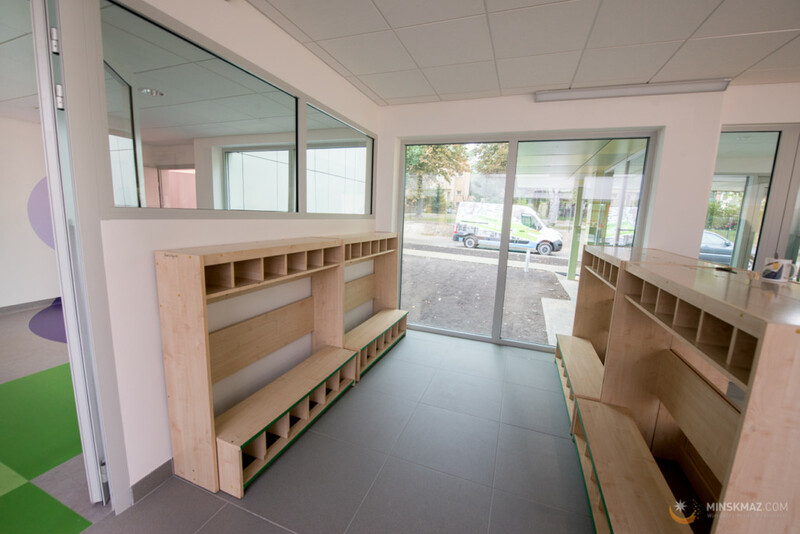 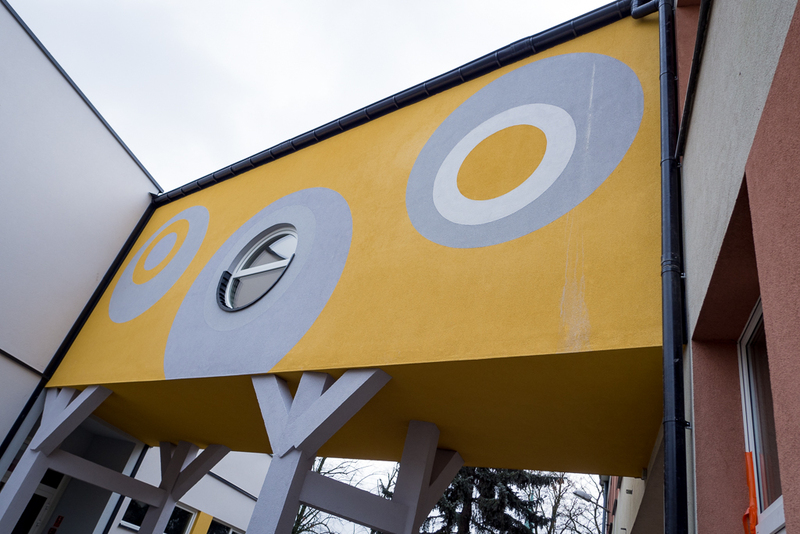 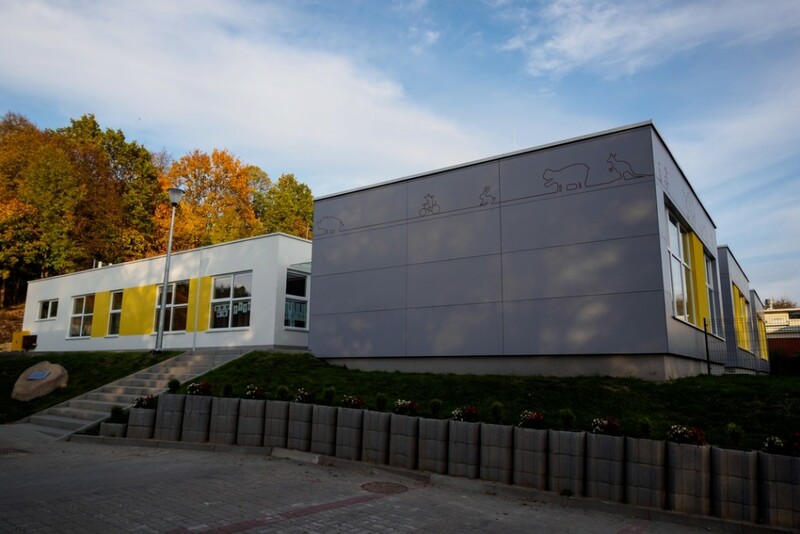 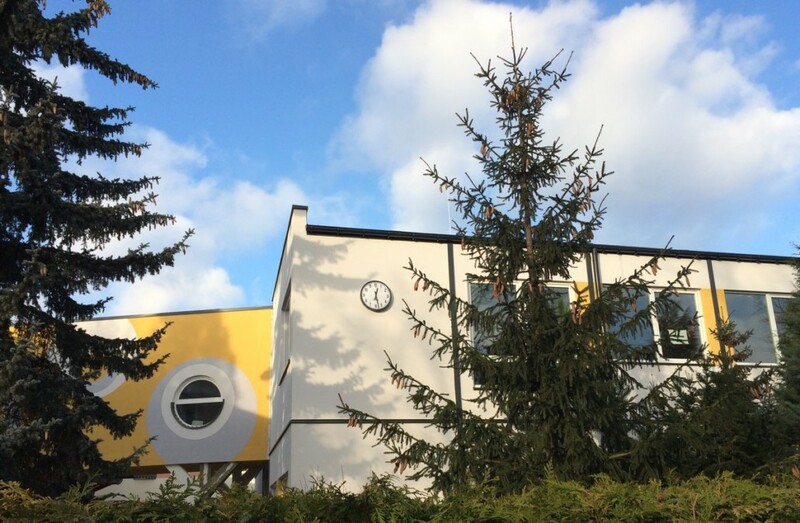 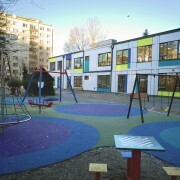 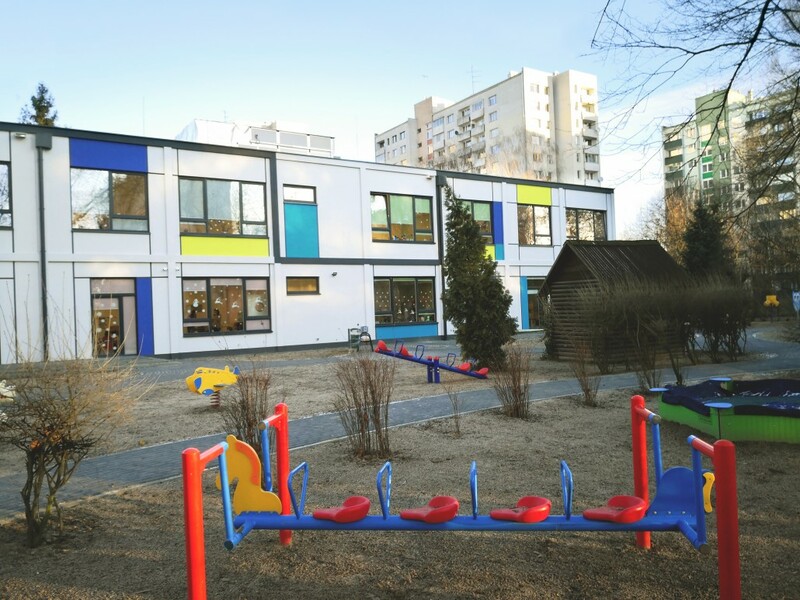 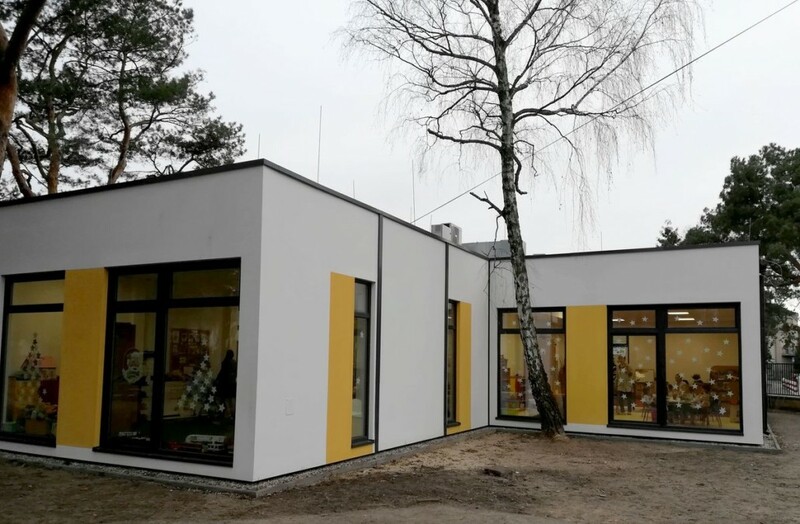 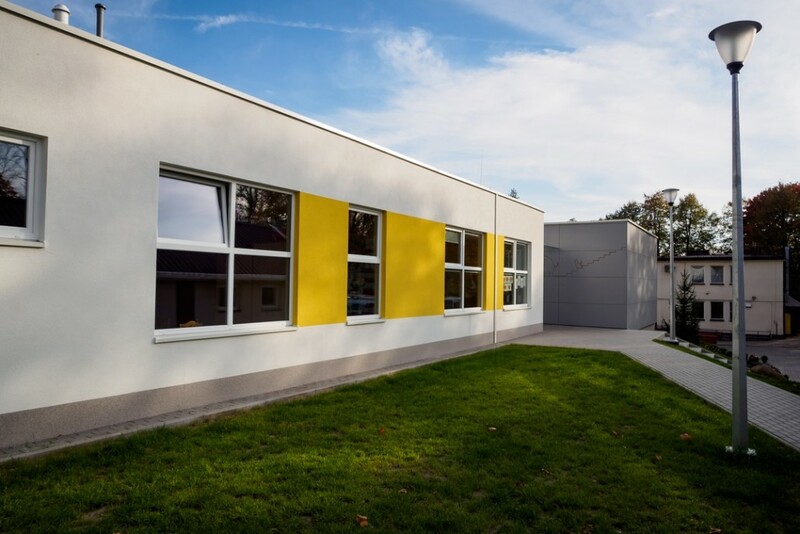 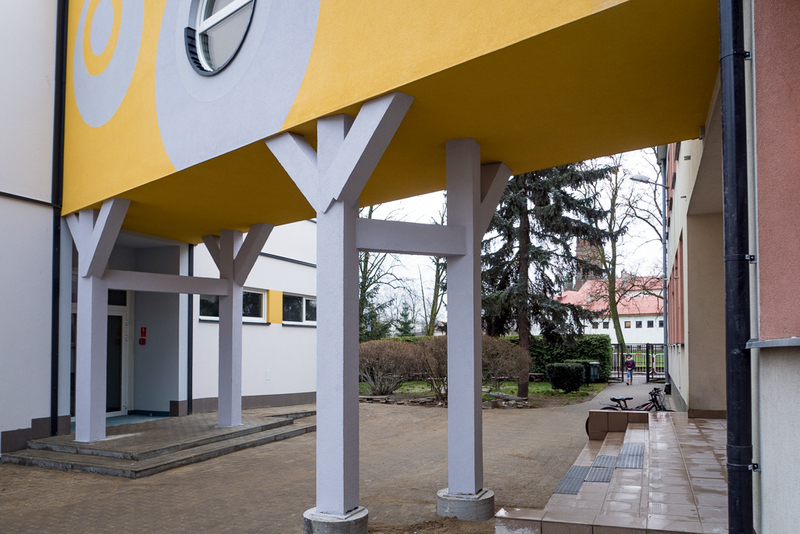 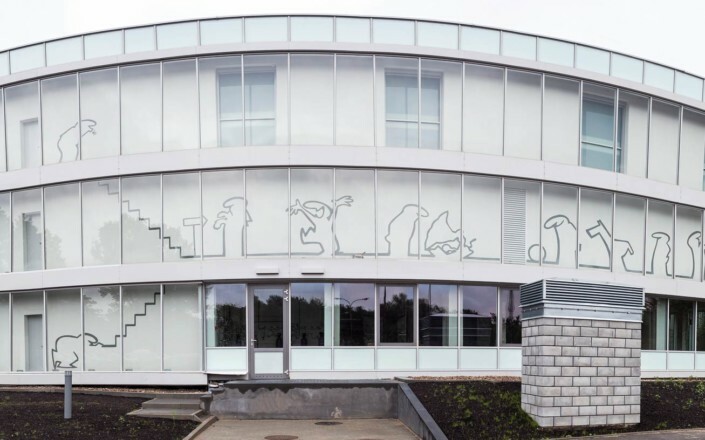 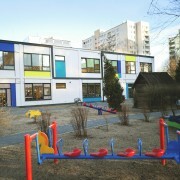 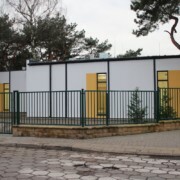 As part of the investment, the kindergarten building was expanded using the Climatic modular construction system. 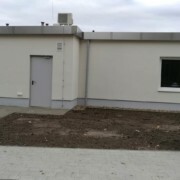 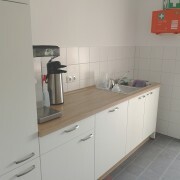 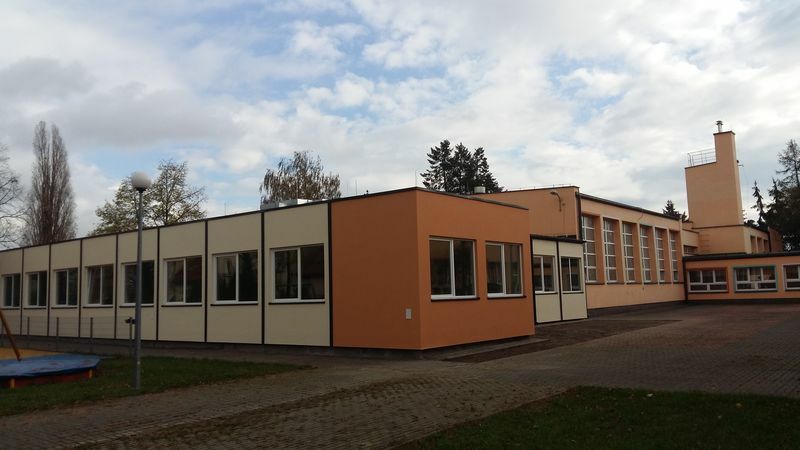 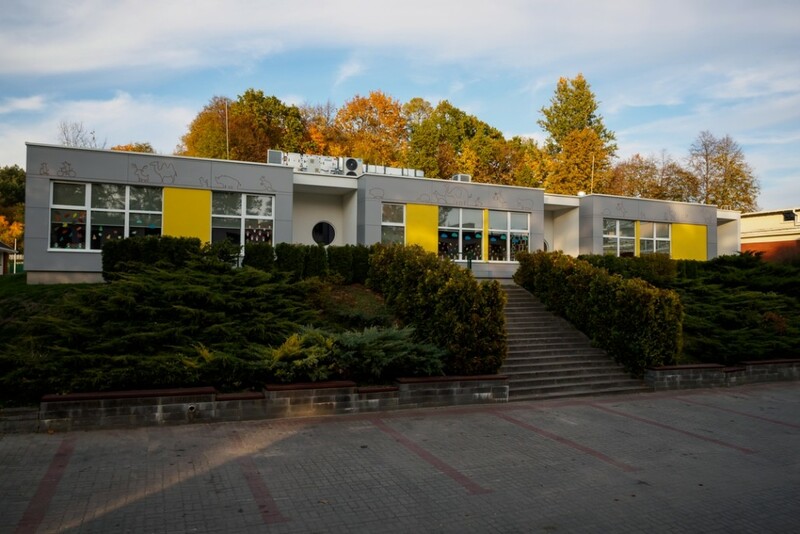 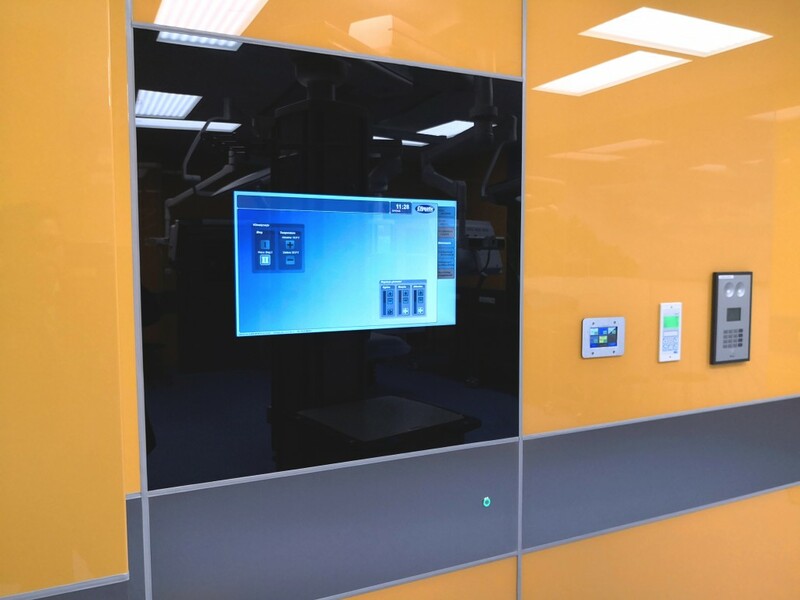 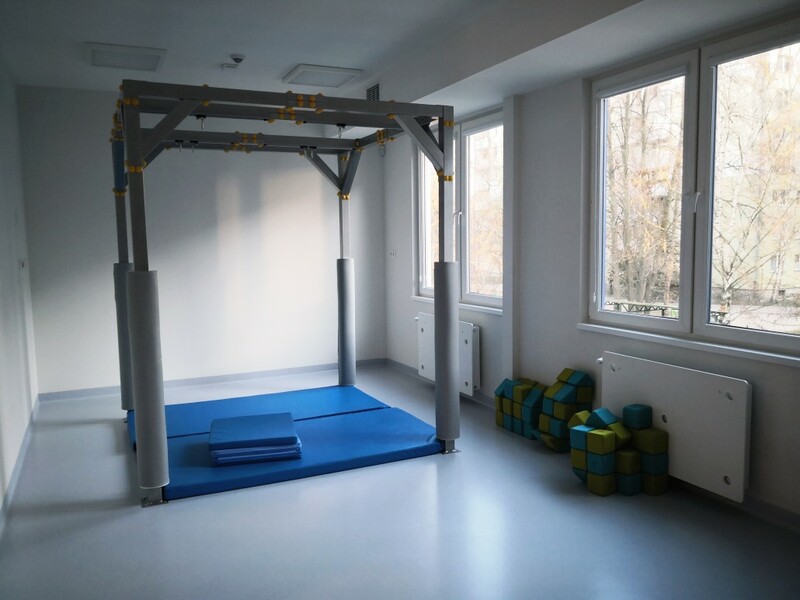 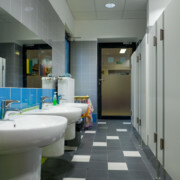 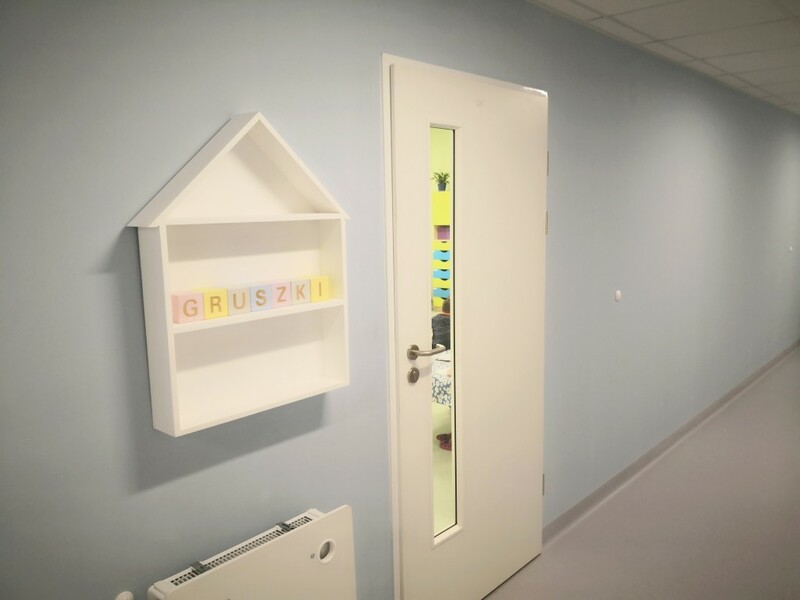 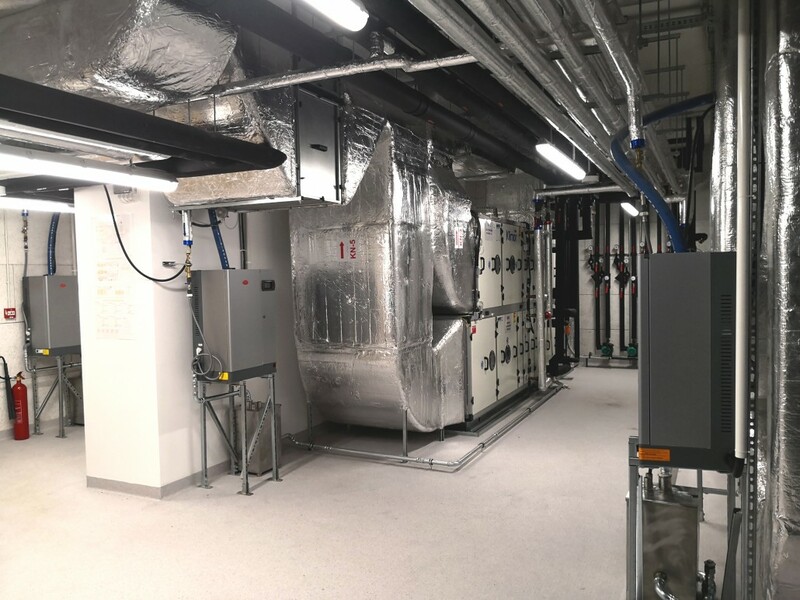 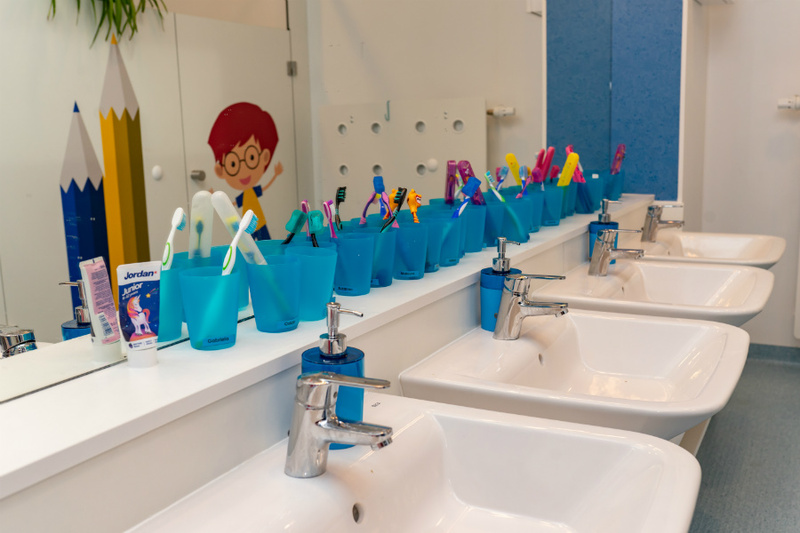 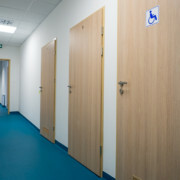 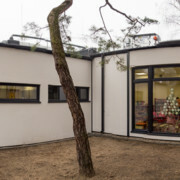 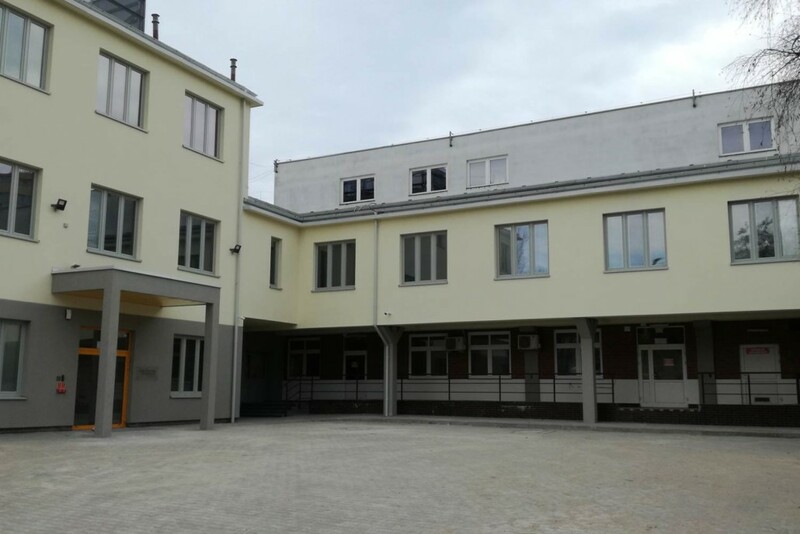 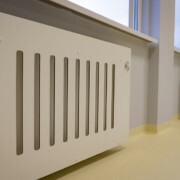 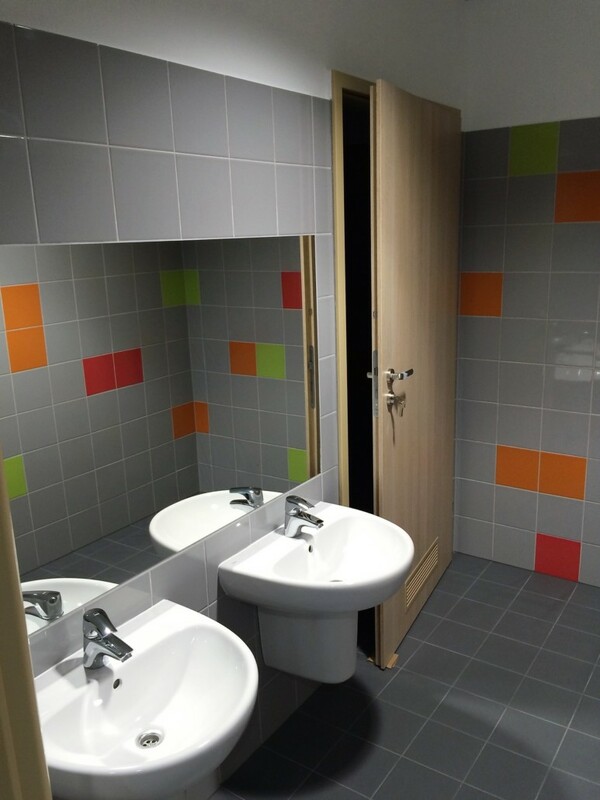 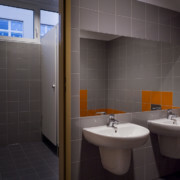 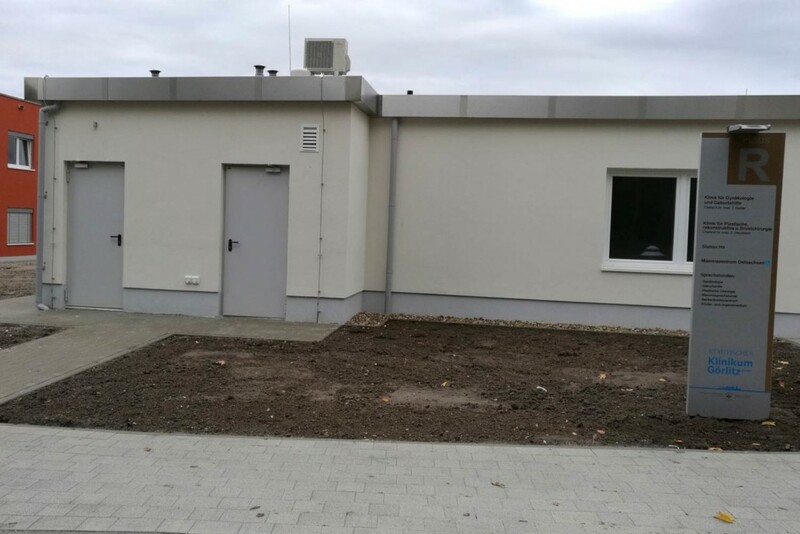 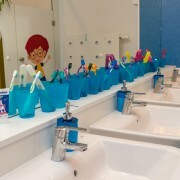 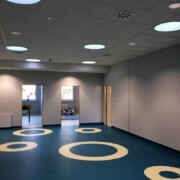 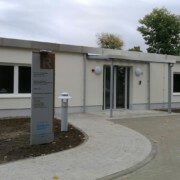 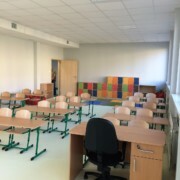 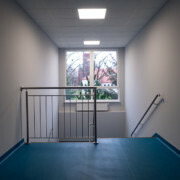 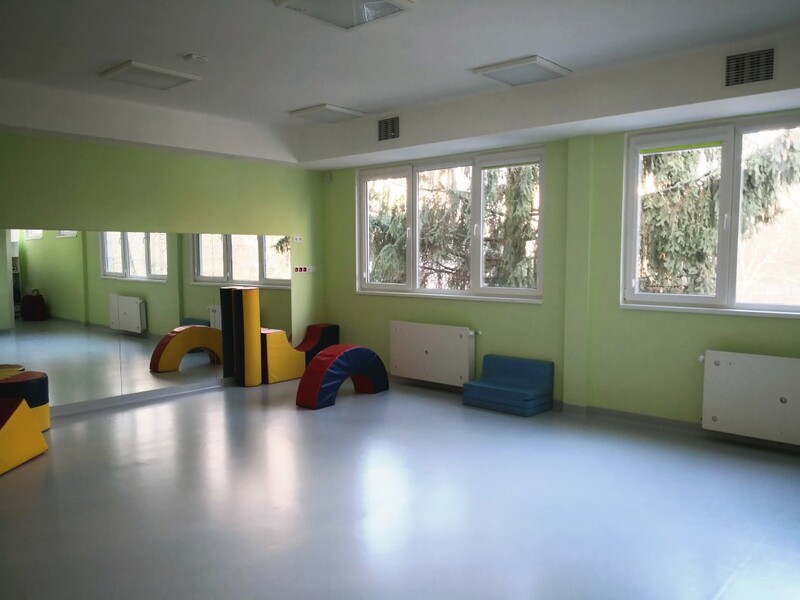 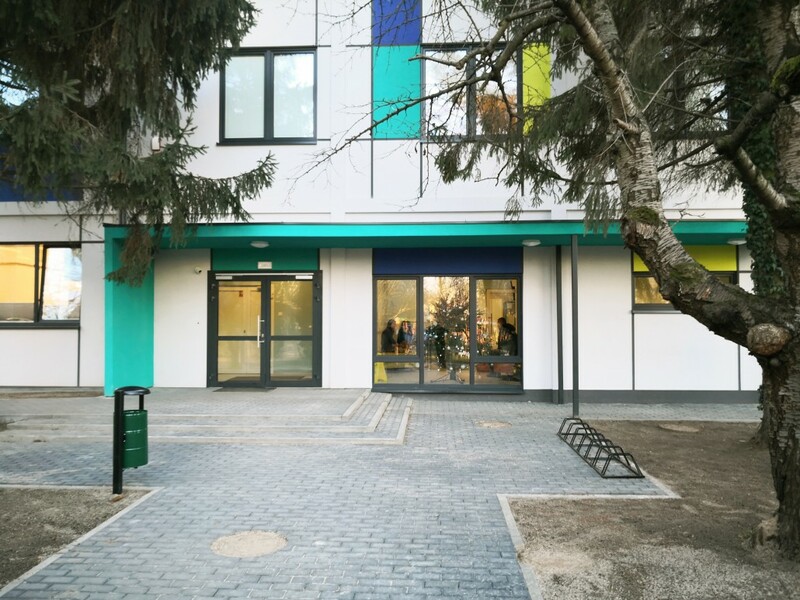 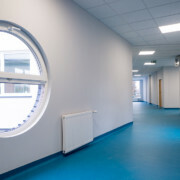 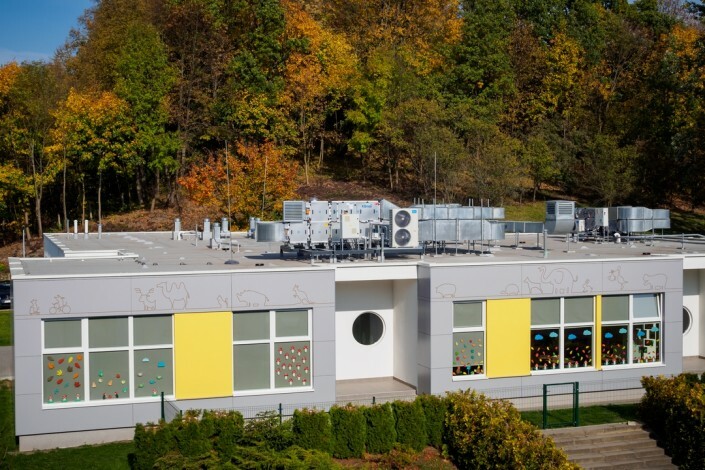 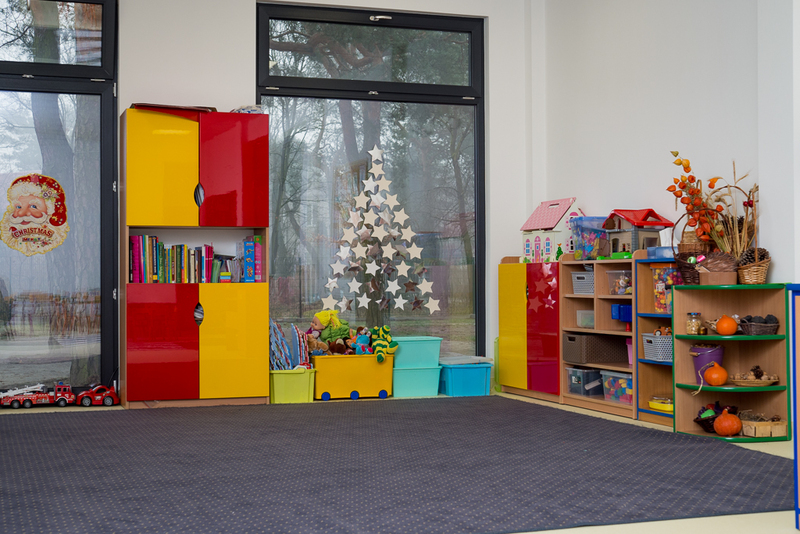 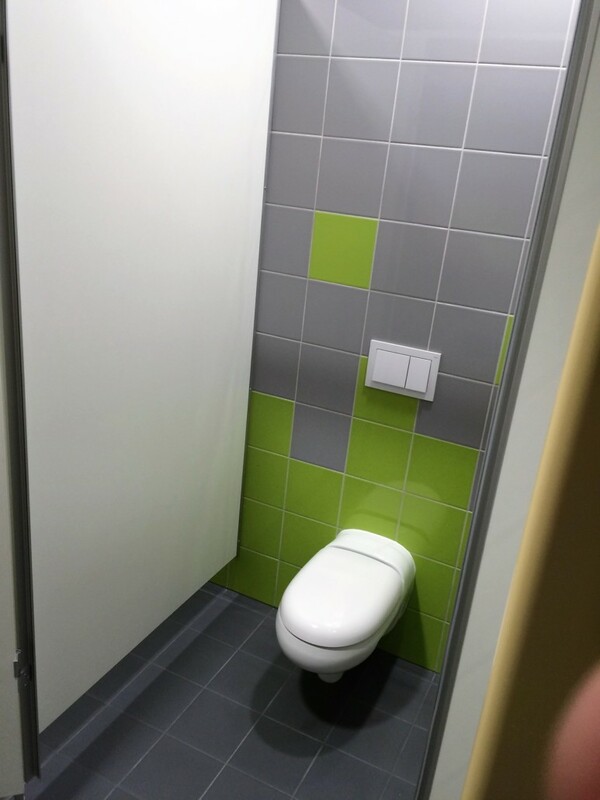 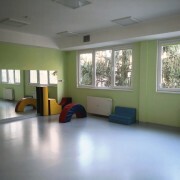 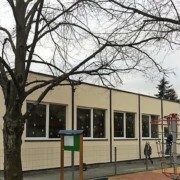 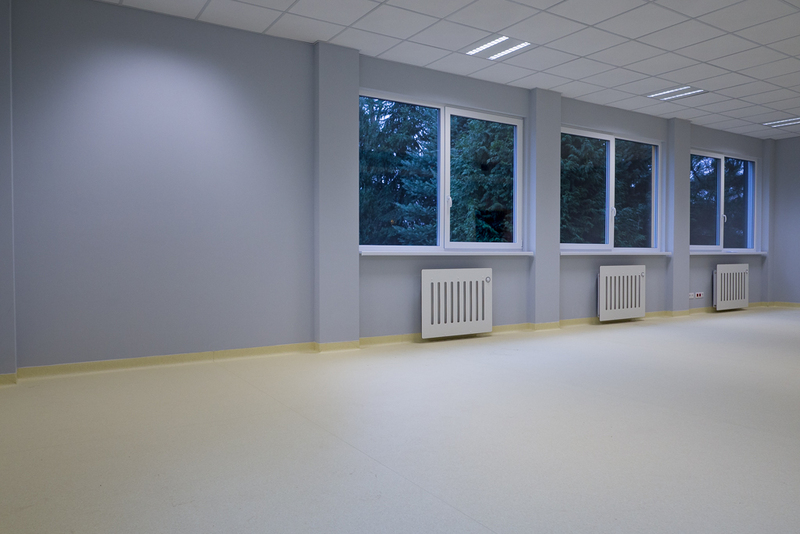 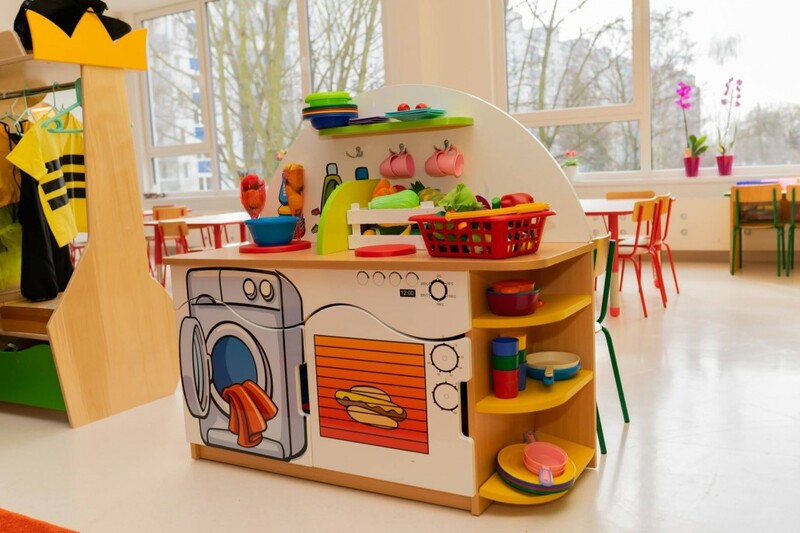 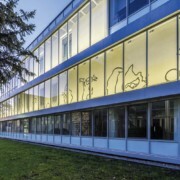 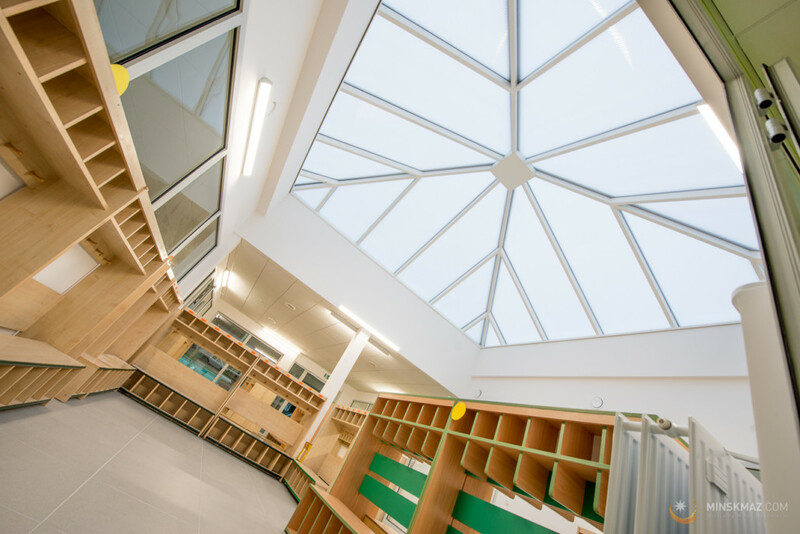 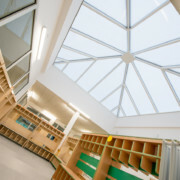 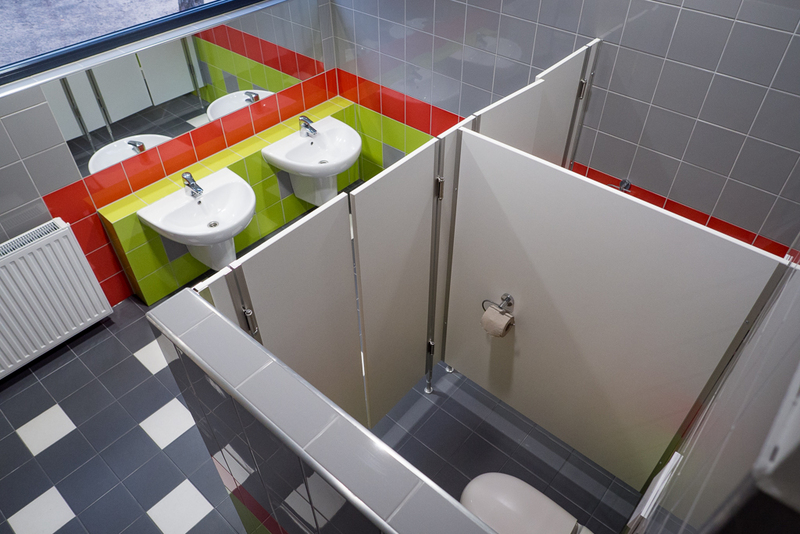 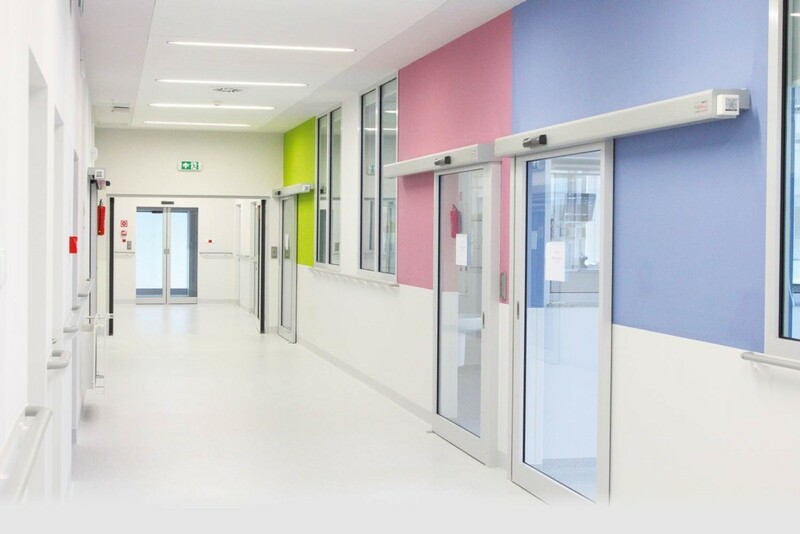 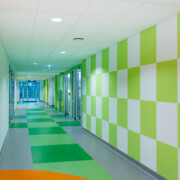 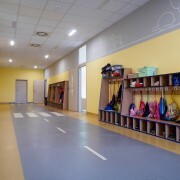 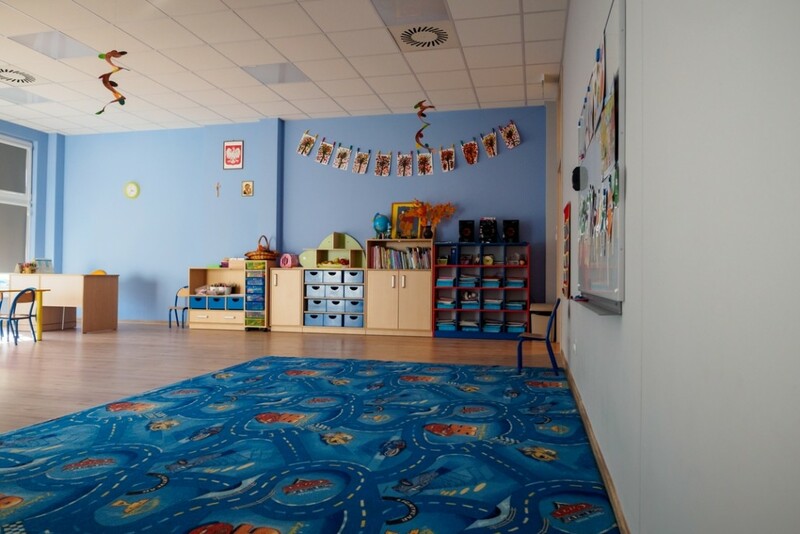 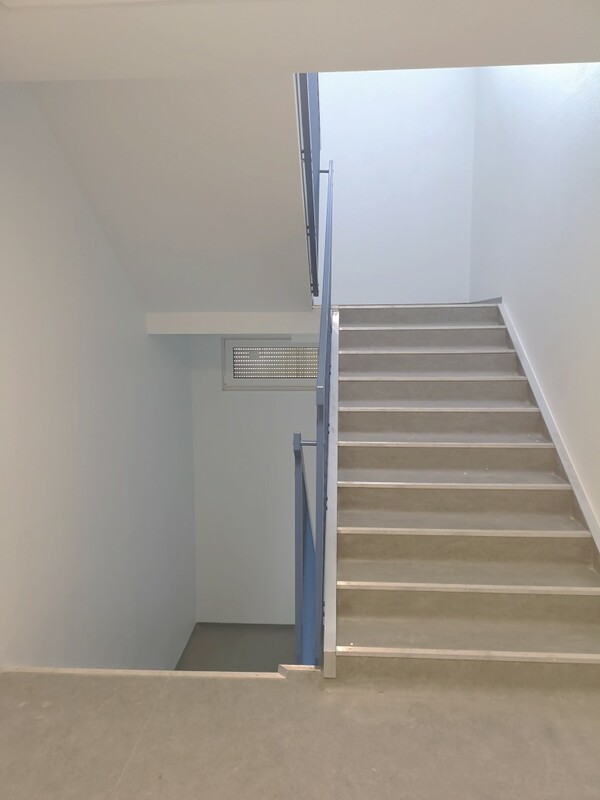 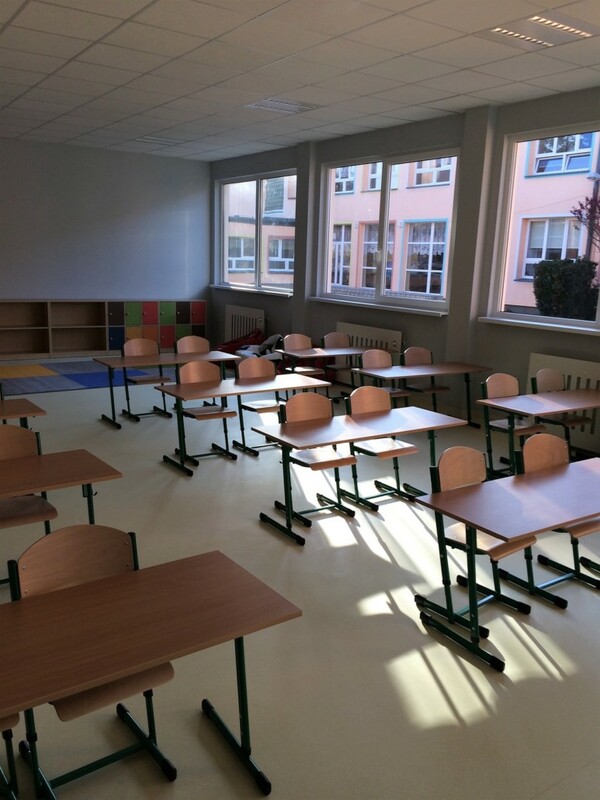 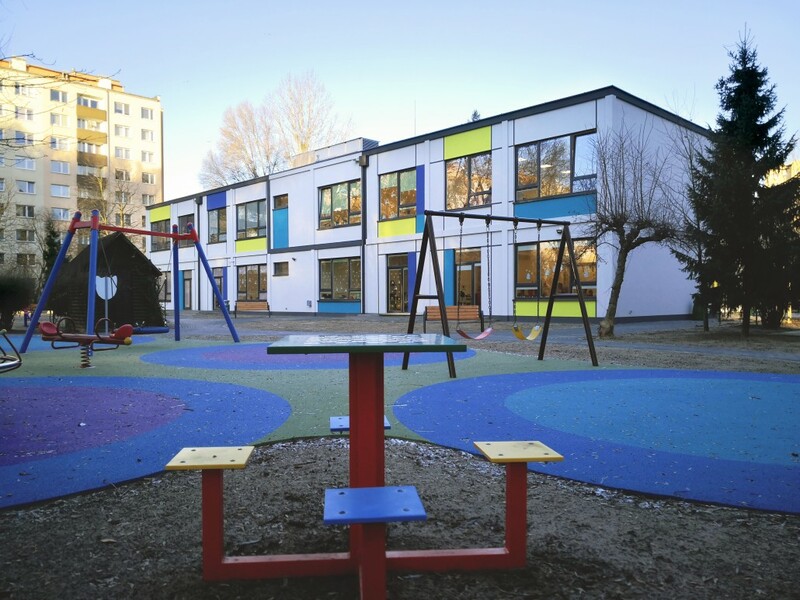 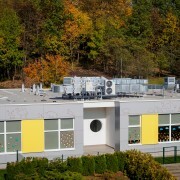 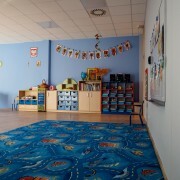 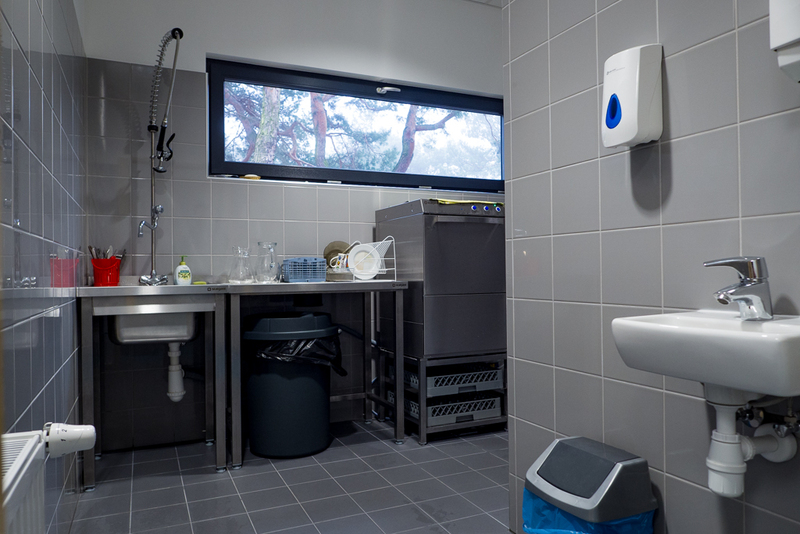 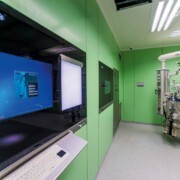 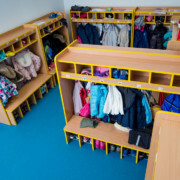 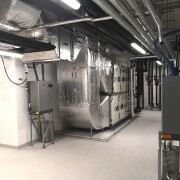 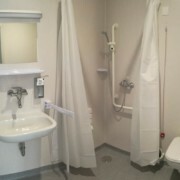 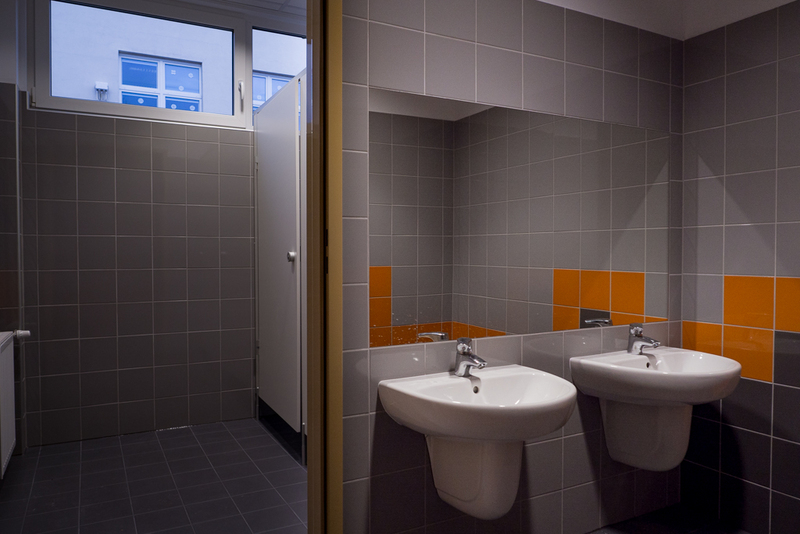 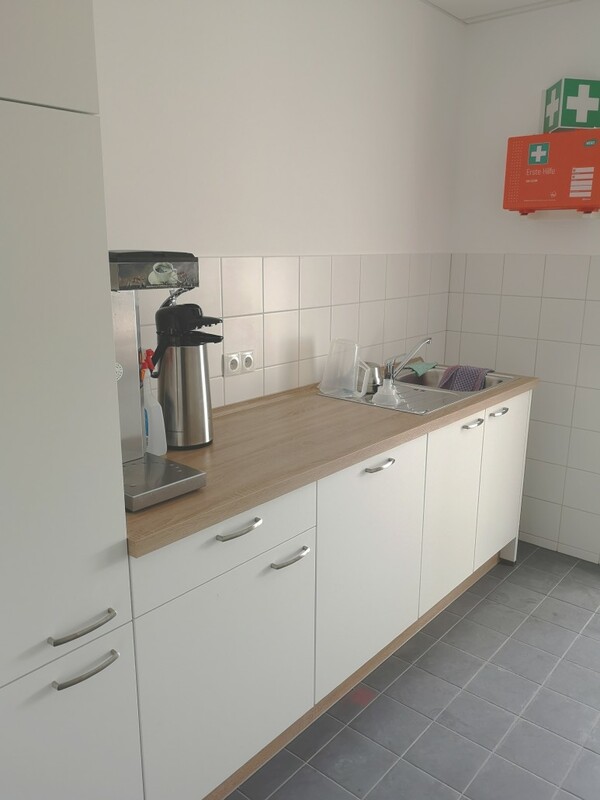 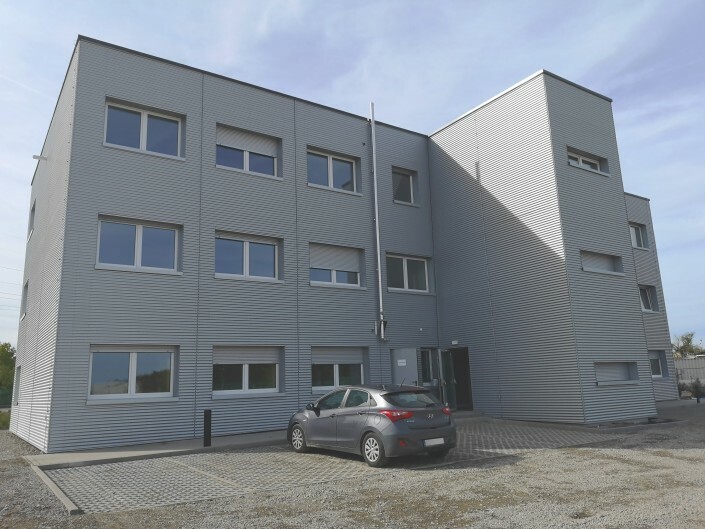 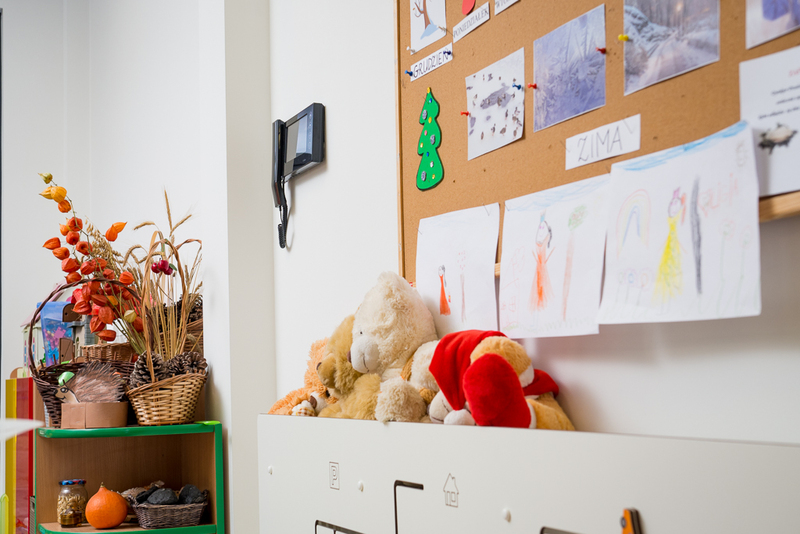 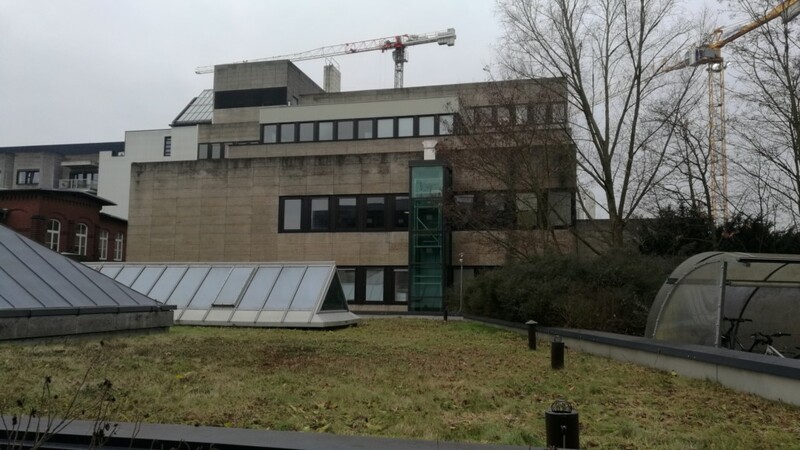 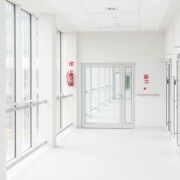 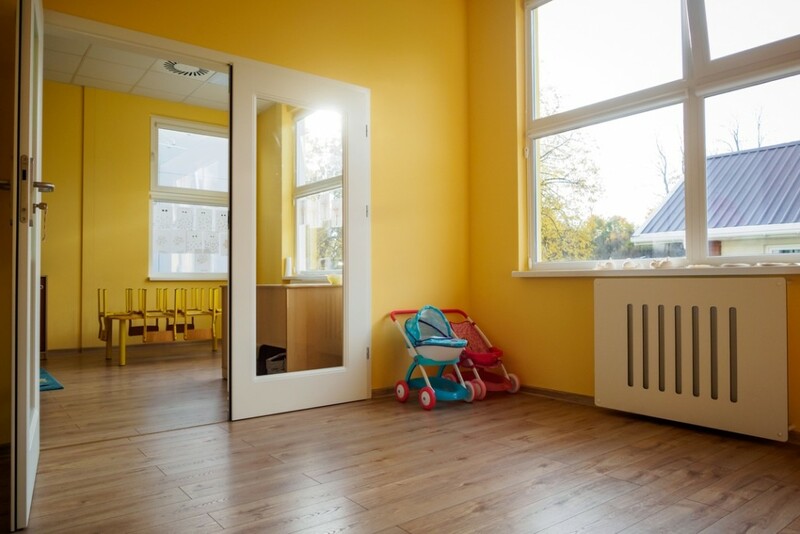 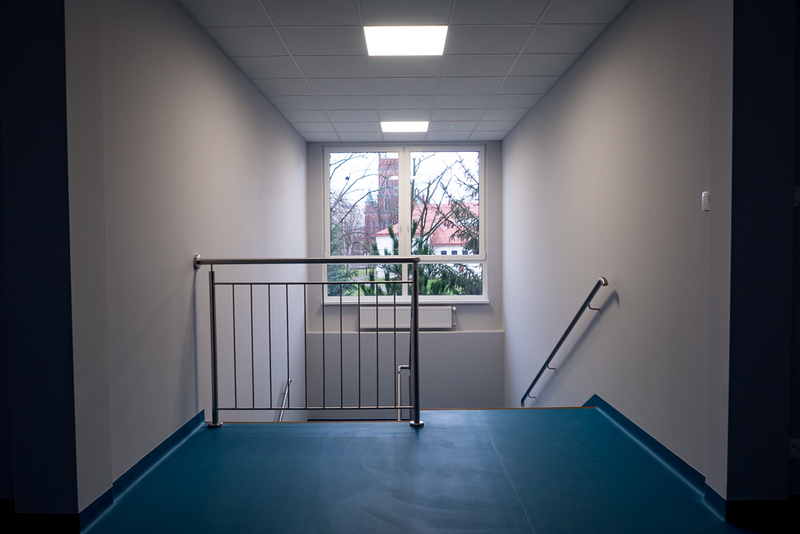 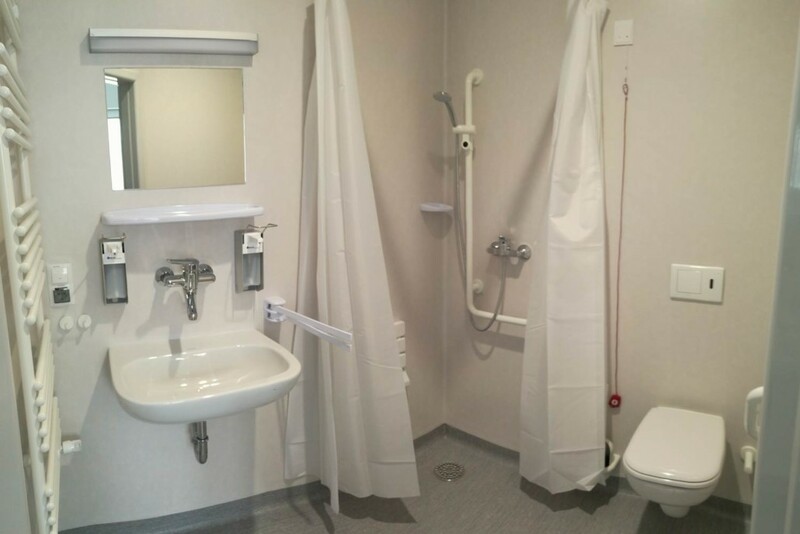 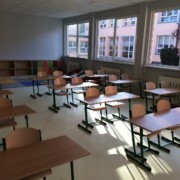 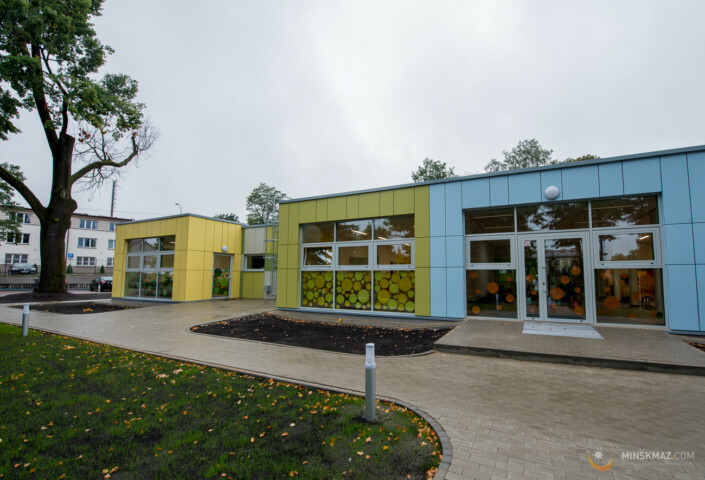 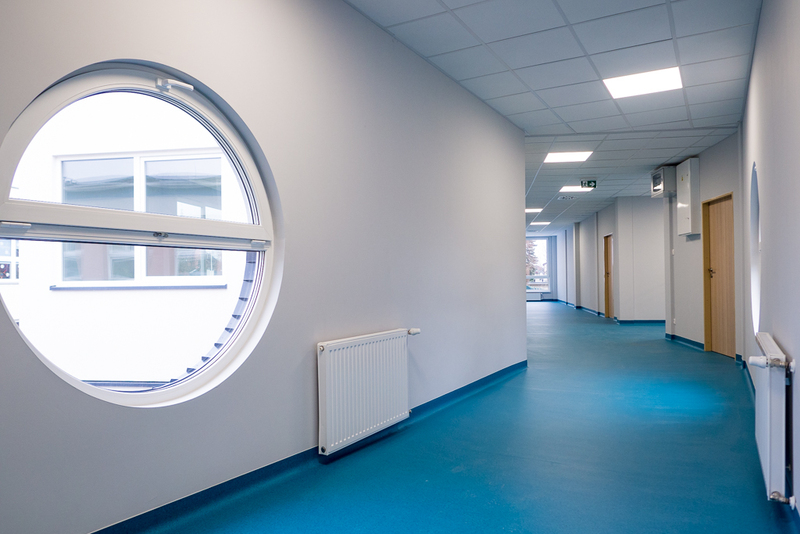 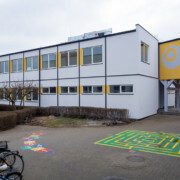 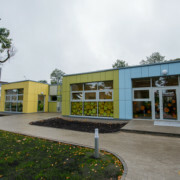 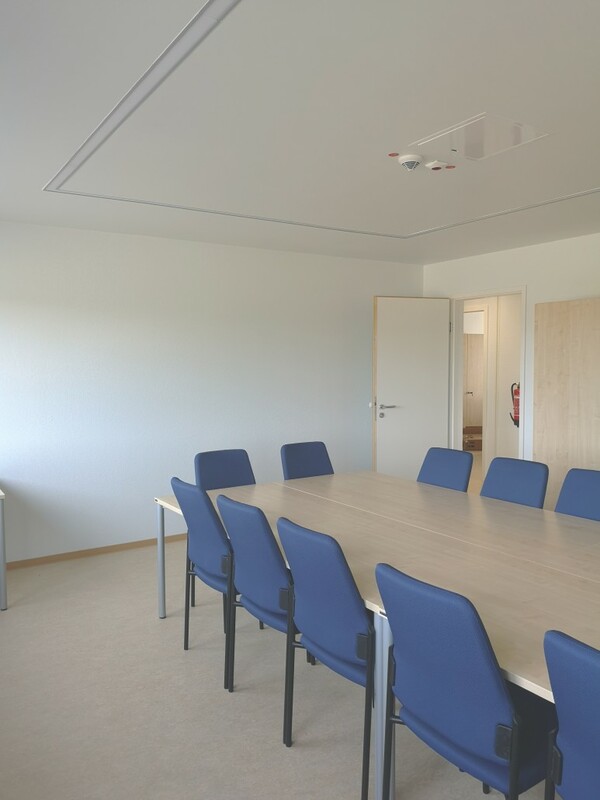 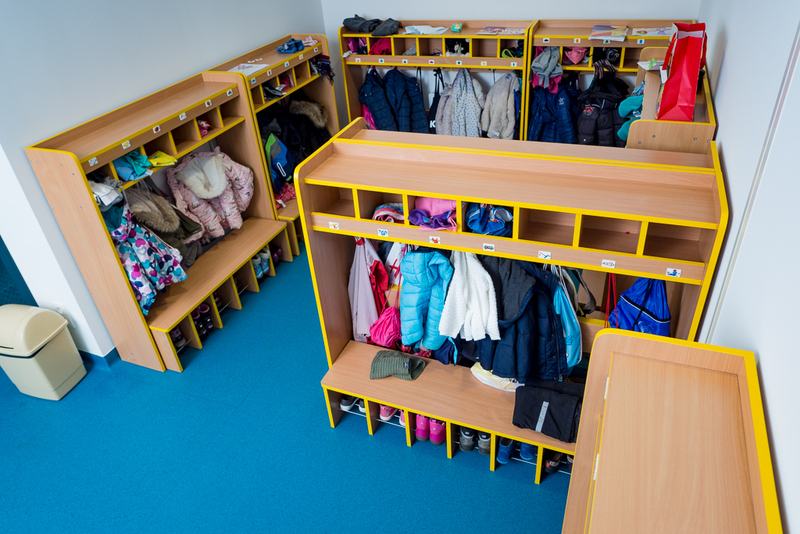 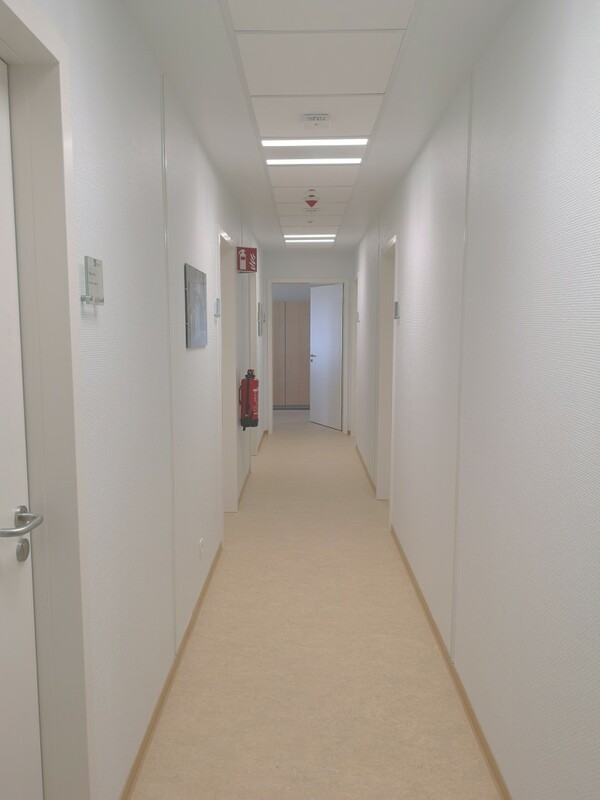 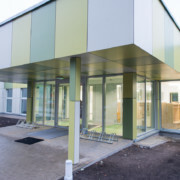 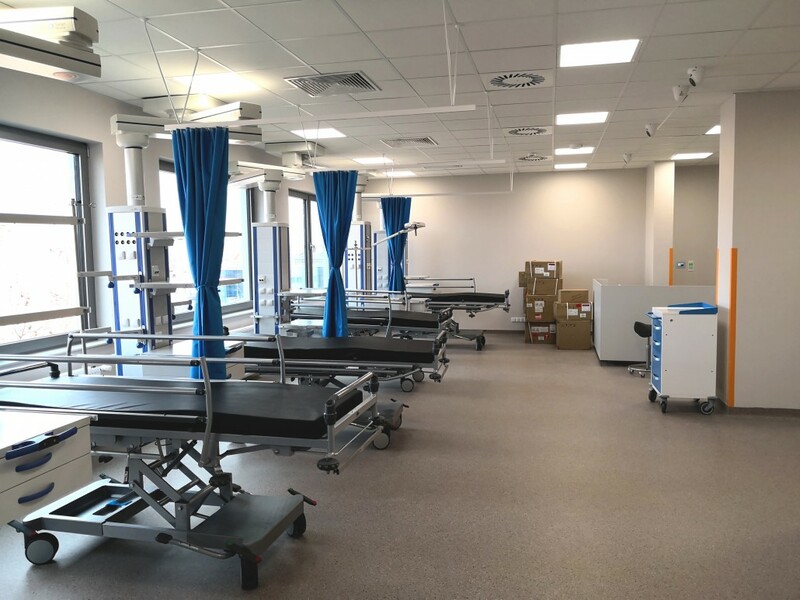 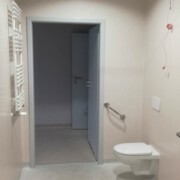 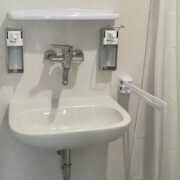 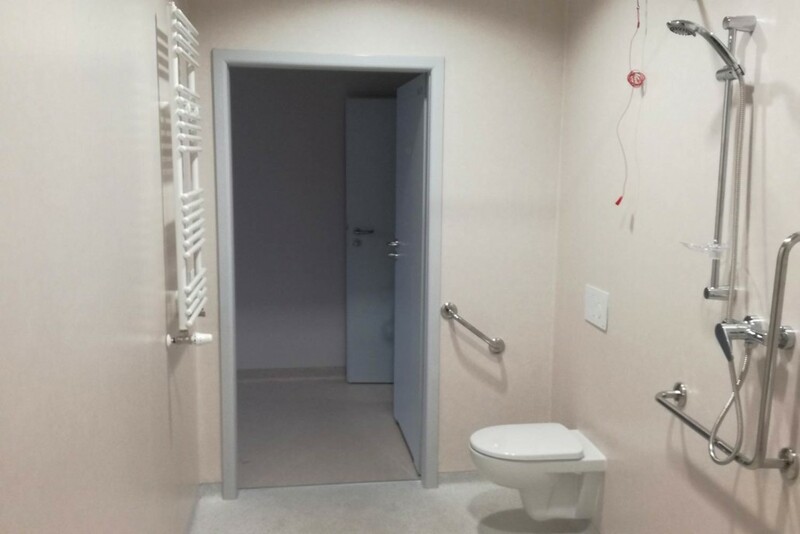 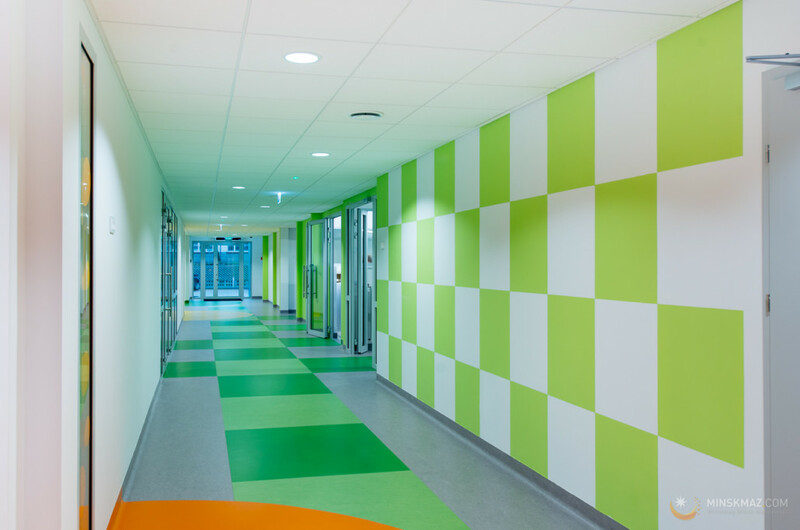 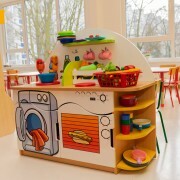 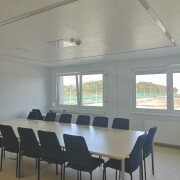 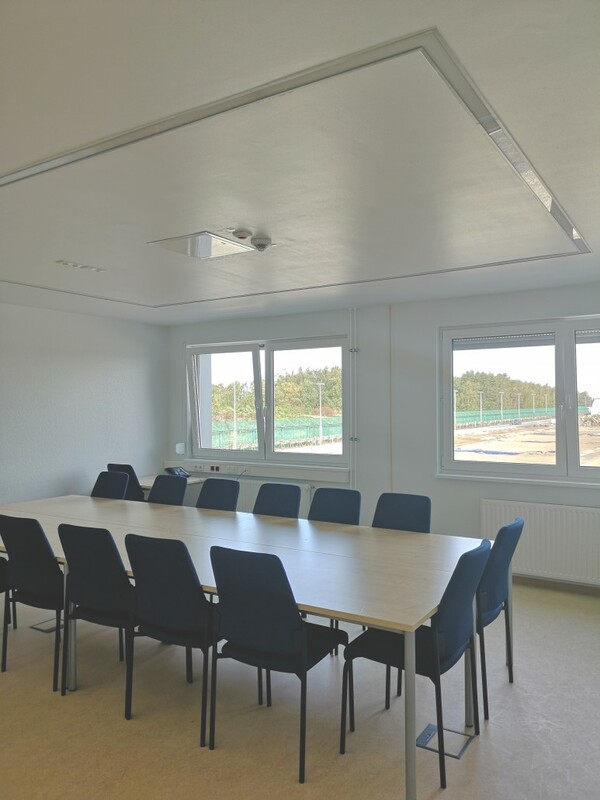 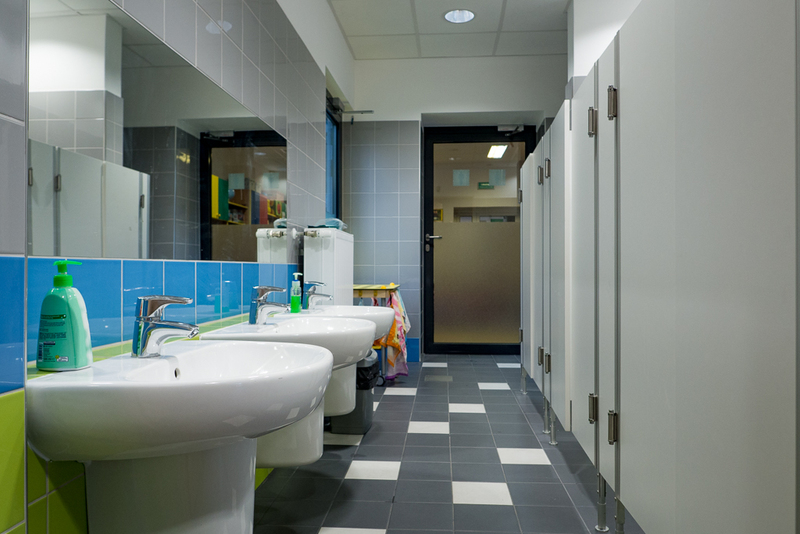 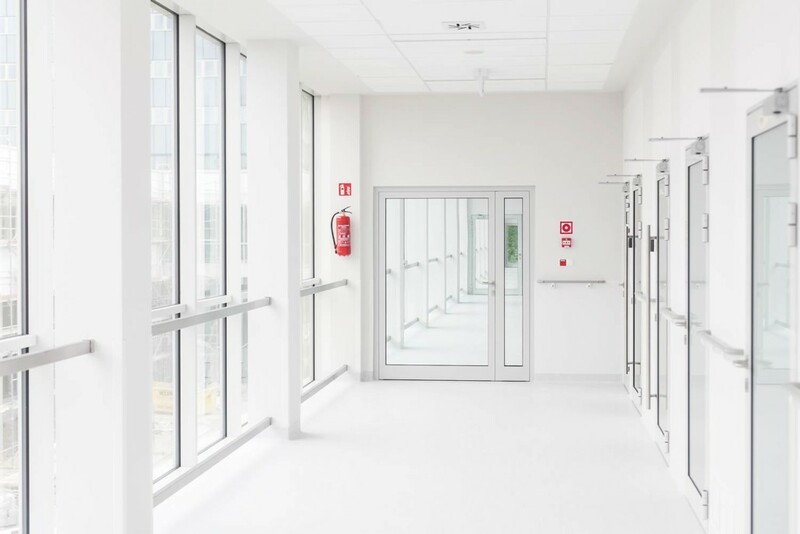 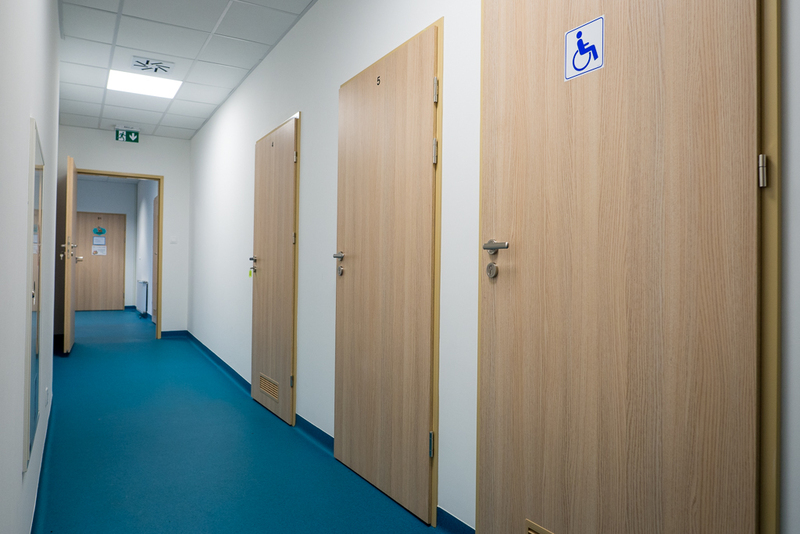 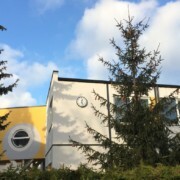 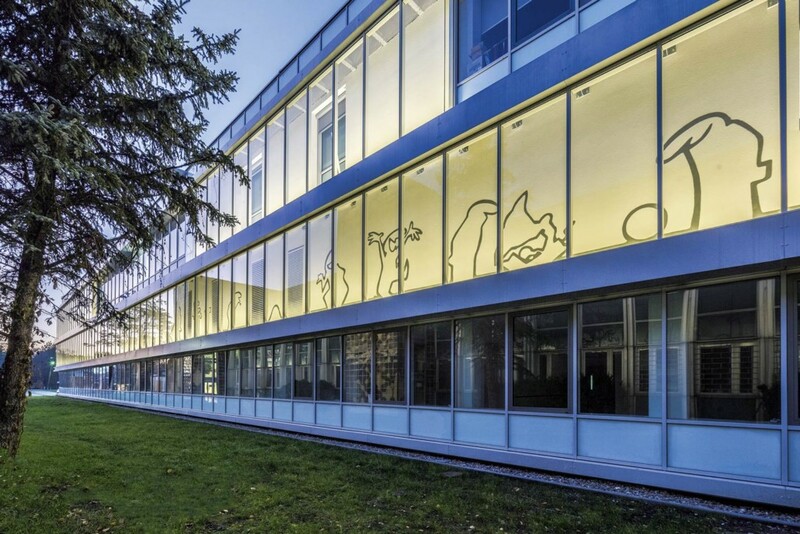 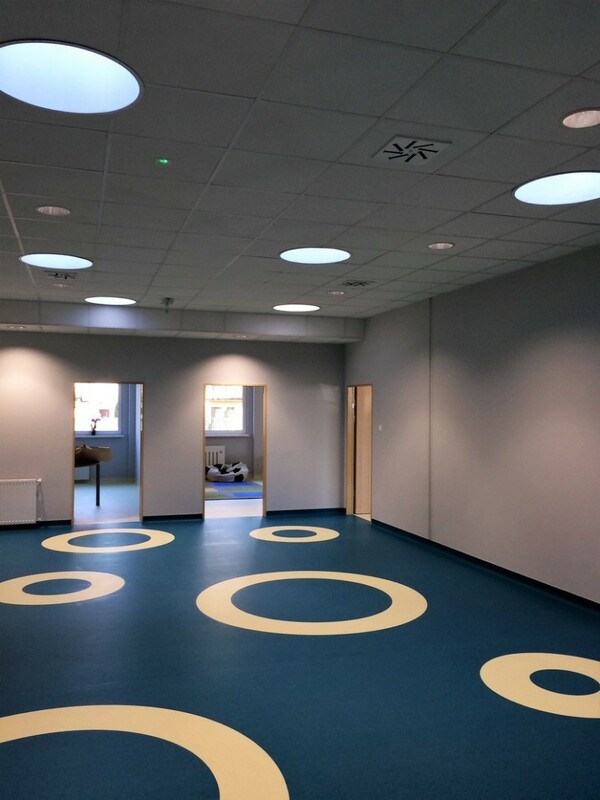 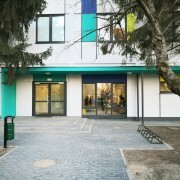 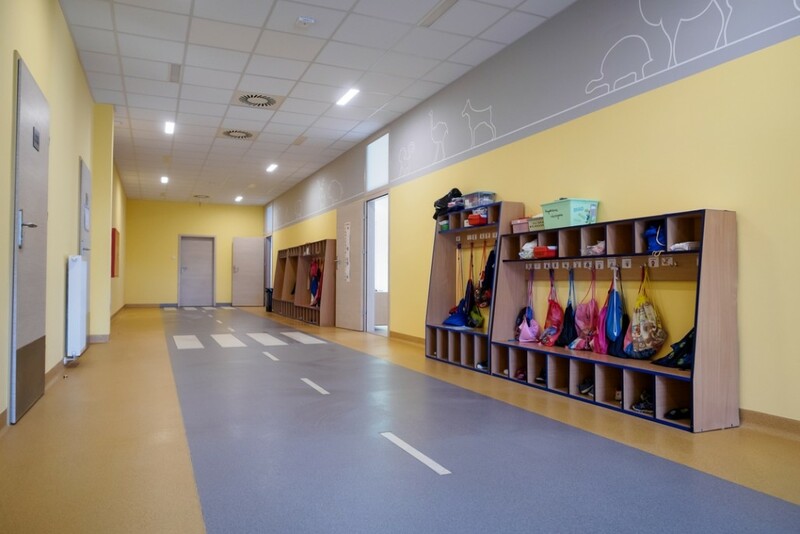 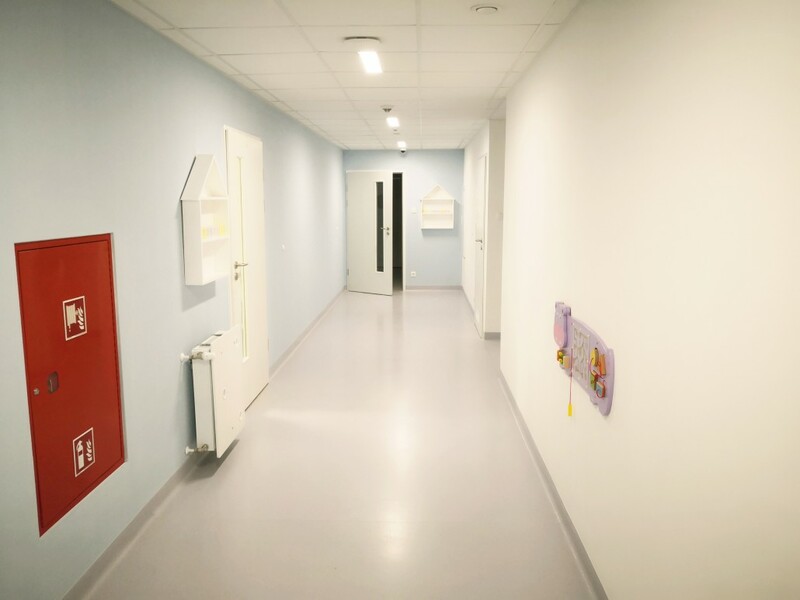 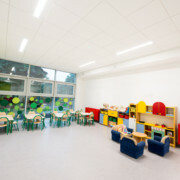 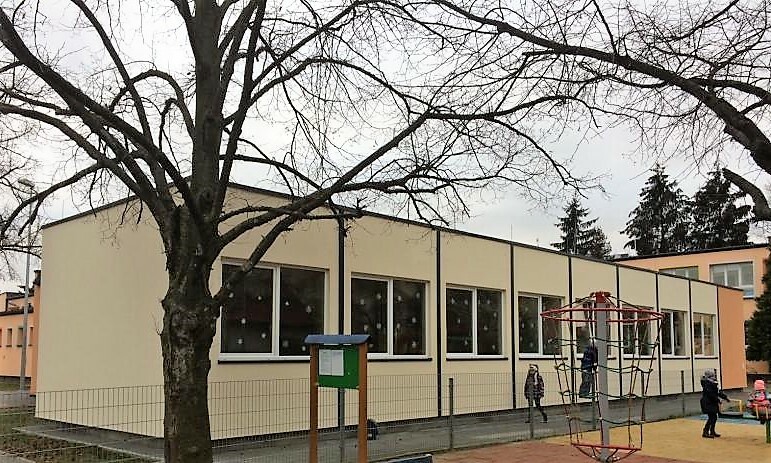 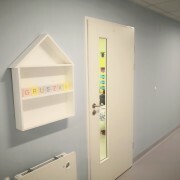 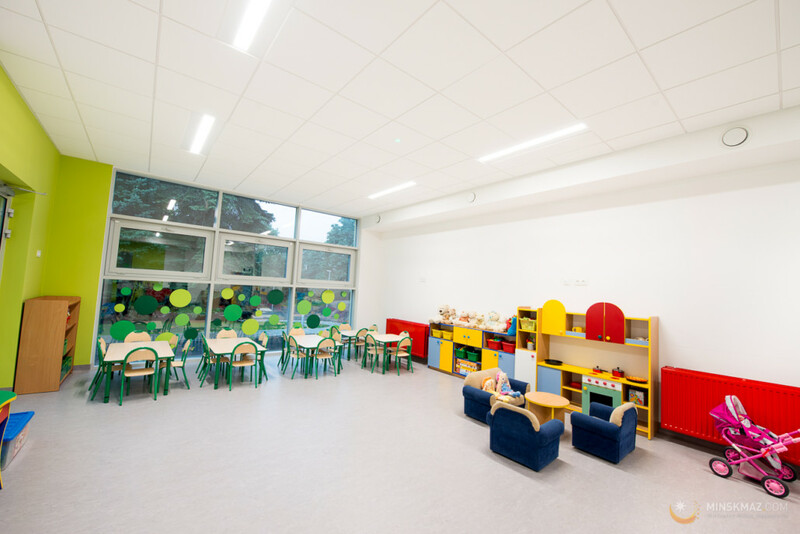 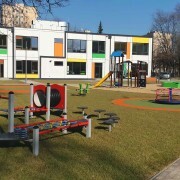 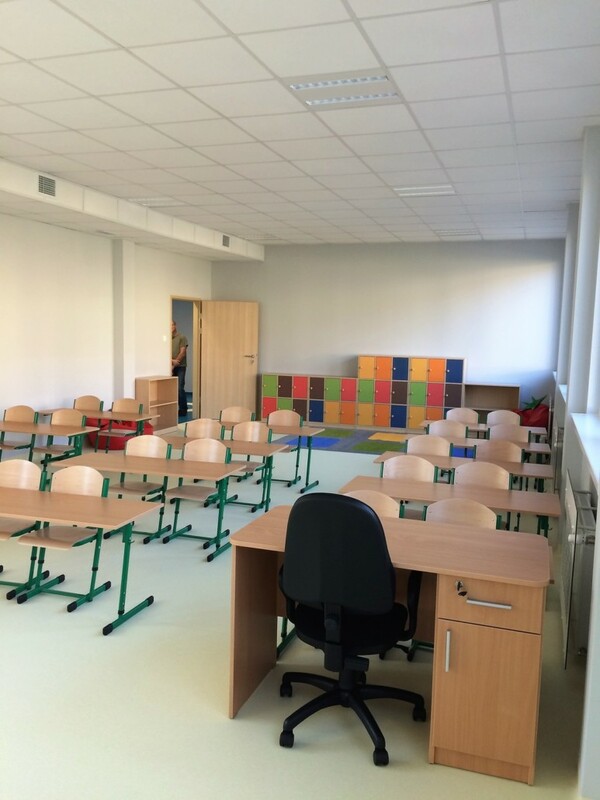 The modules include such rooms as classrooms, cloakroom and utility rooms and technical rooms, equipped with necessary installations (including ventilation, video intercom, e-kindergarten system). 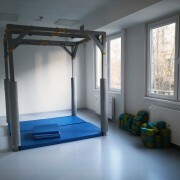 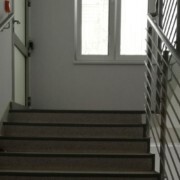 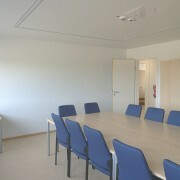 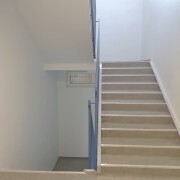 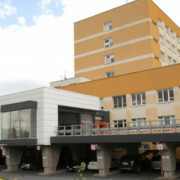 A superstructure of the third floor in the existing hospital building in modular technology. 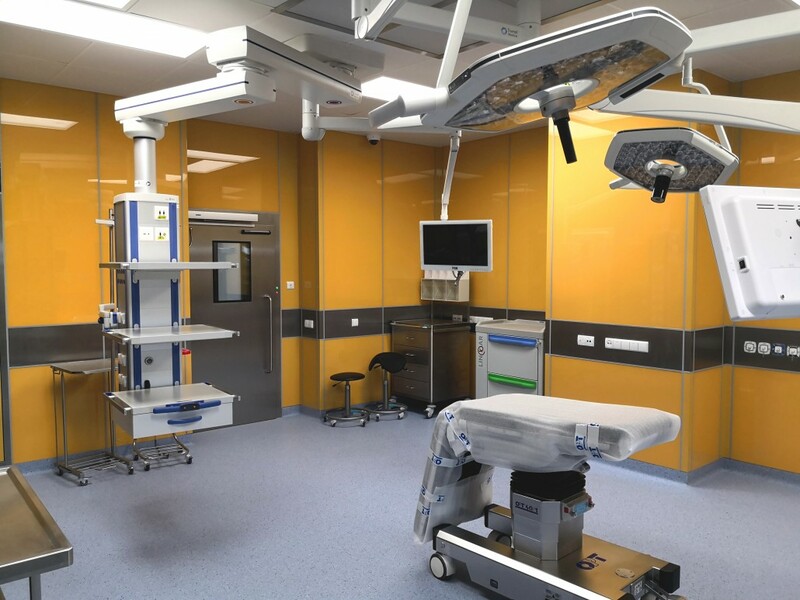 Expansion and reconstruction of the Clinic of Anaesthesiology and Intensive Therapy and the construction of the operating room pavilion and Intensive Care Unit II. 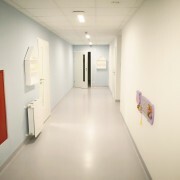 Construction and installation works and delivery of medical equipment. 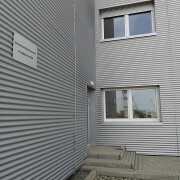 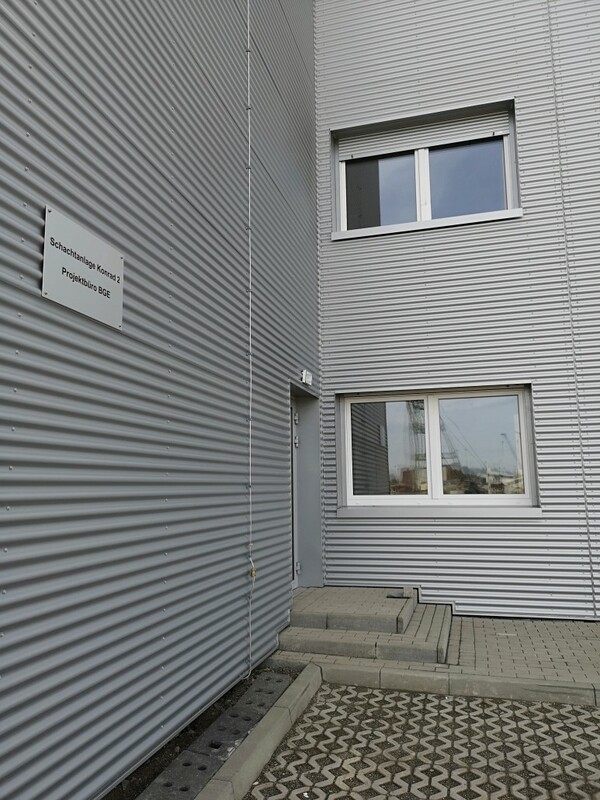 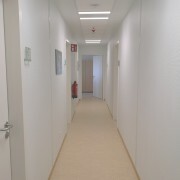 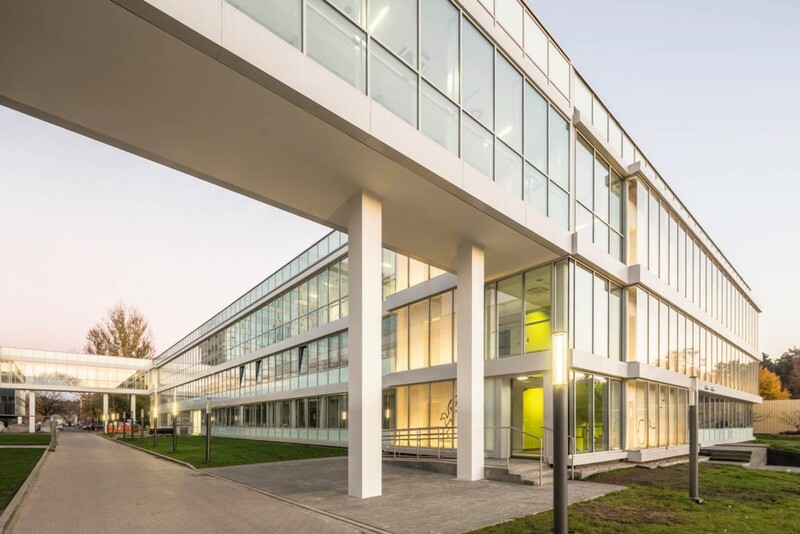 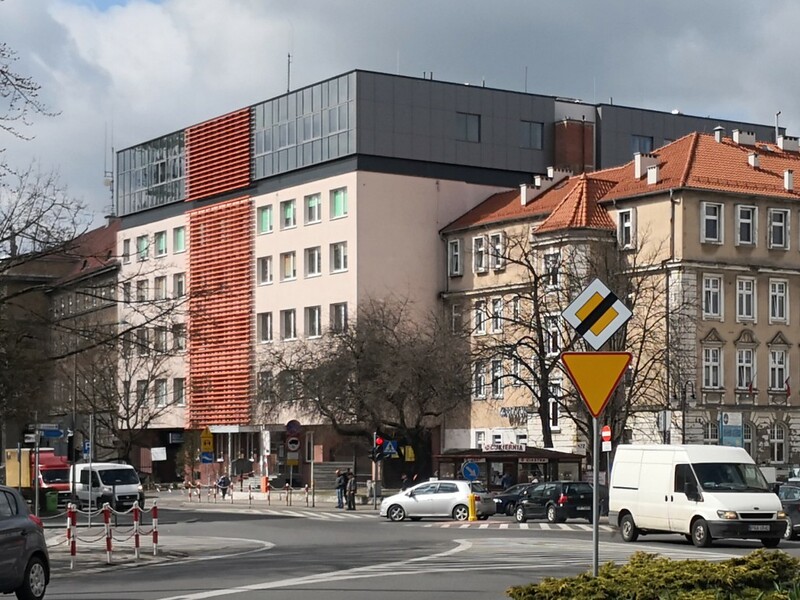 Construction of a modern center for the diagnosis and treatment of breast cancer “Breast Unit” at DCO in Wroclaw. 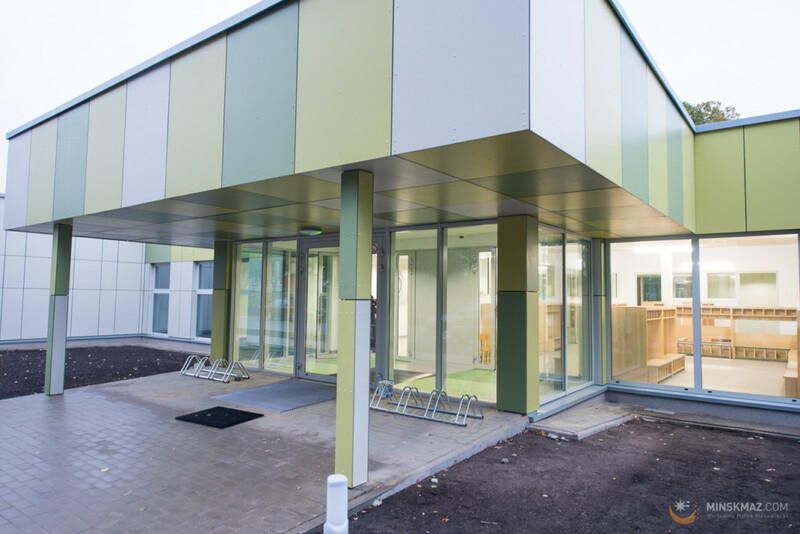 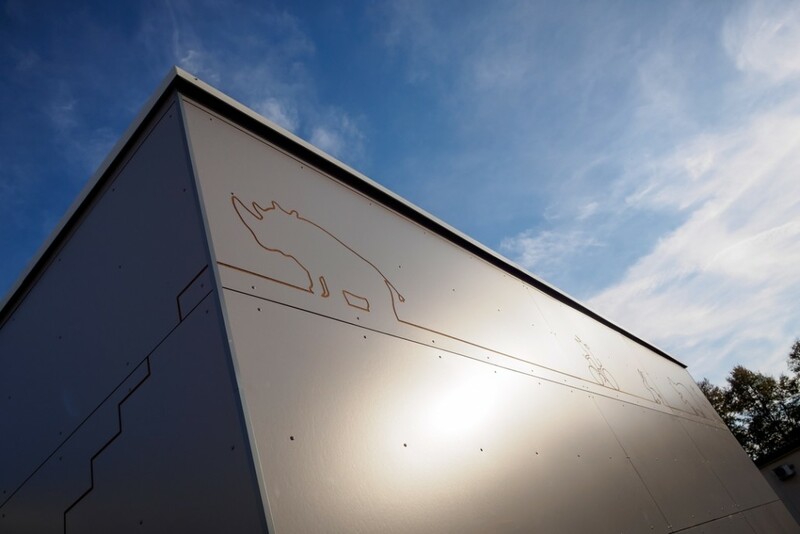 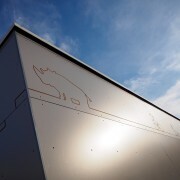 The investment involved the execution of workshop documentation, production, delivery and installation of a 3-storey modular building with installations in all industries. 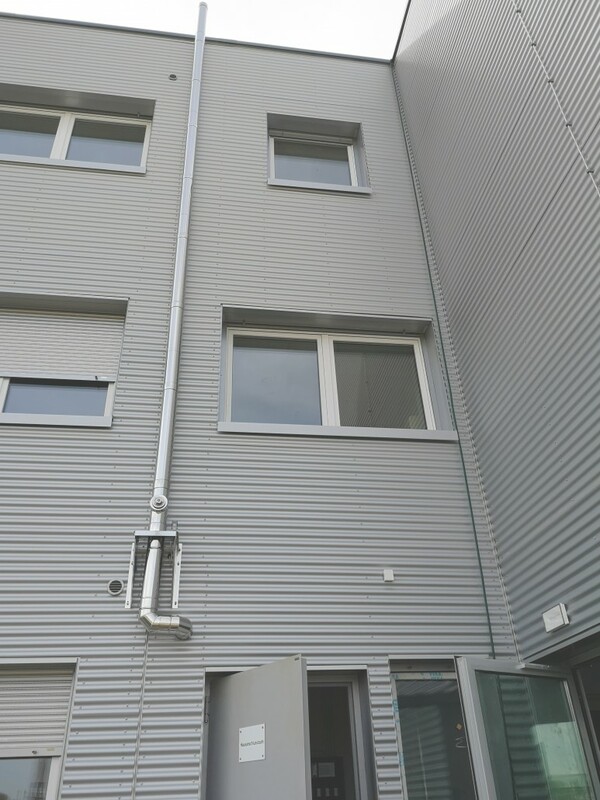 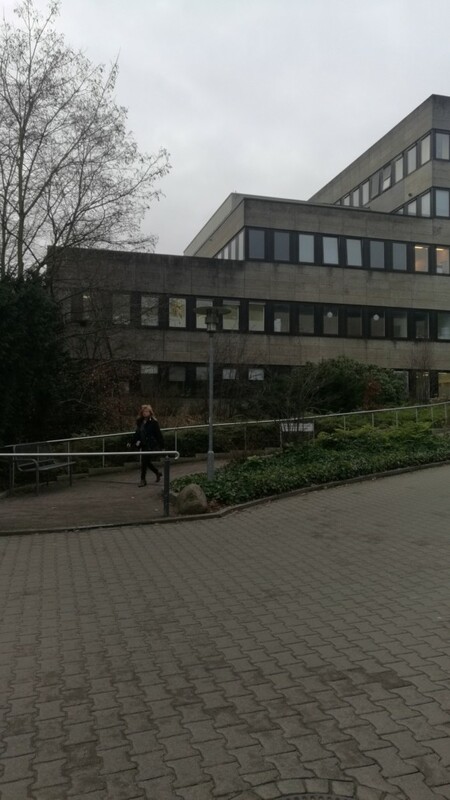 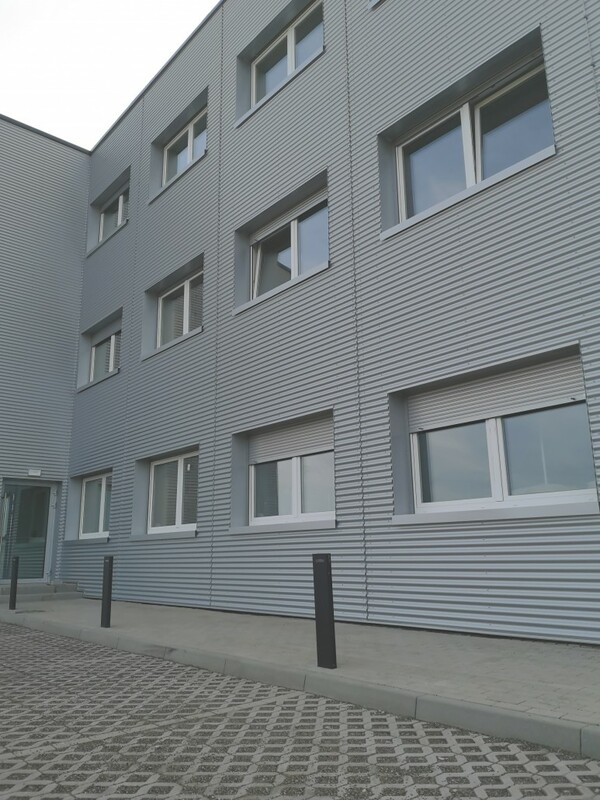 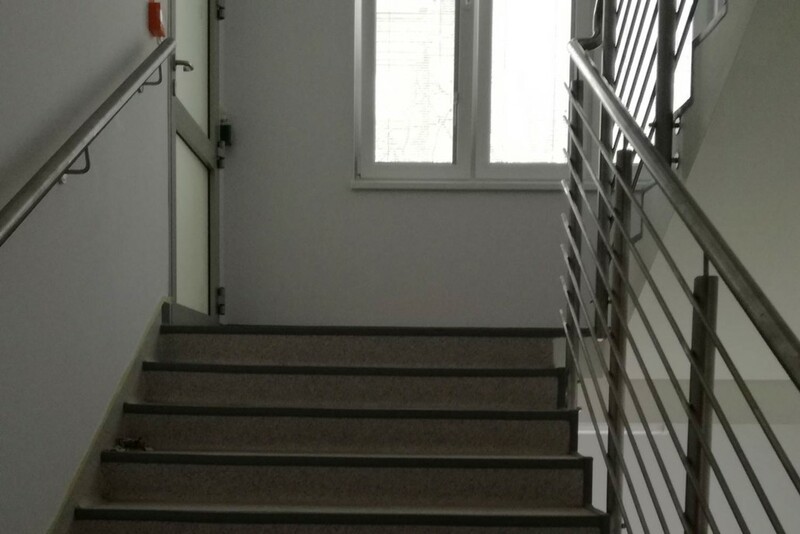 The building with a total area of approximately 2500 m2 was completed in the period 25.03.2016 – 31.12.2016r. 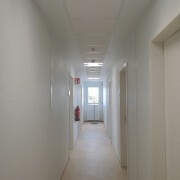 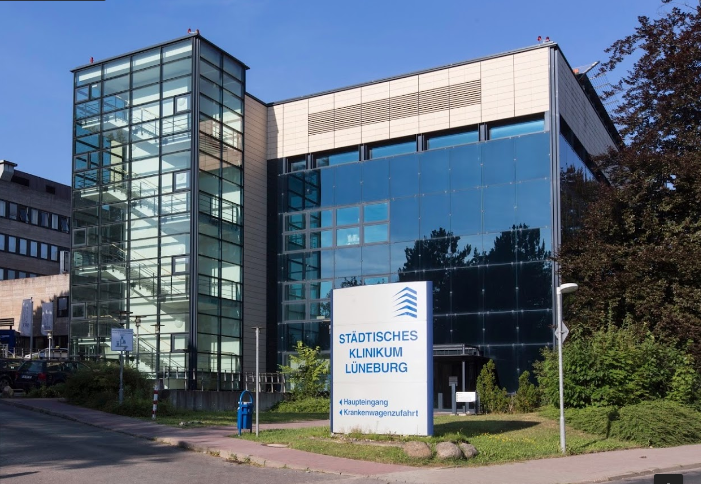 Construction of a hospital facility commissioned by the Städtisches Klinikum Görlitz gGmbH in Germany. 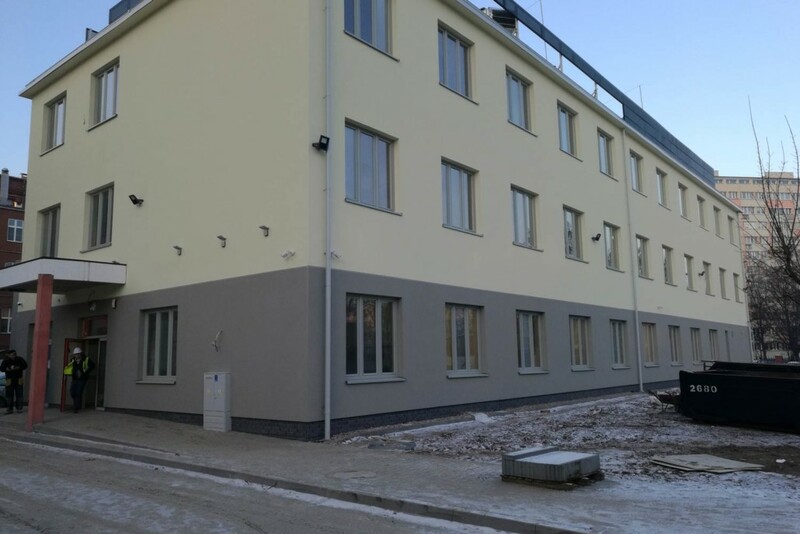 The investment involved the execution of complete executive plans, on the basis of which Climatic produced, delivered and assembled a modular hospital building with a total area of 1245.55 m2 in just 5 months. 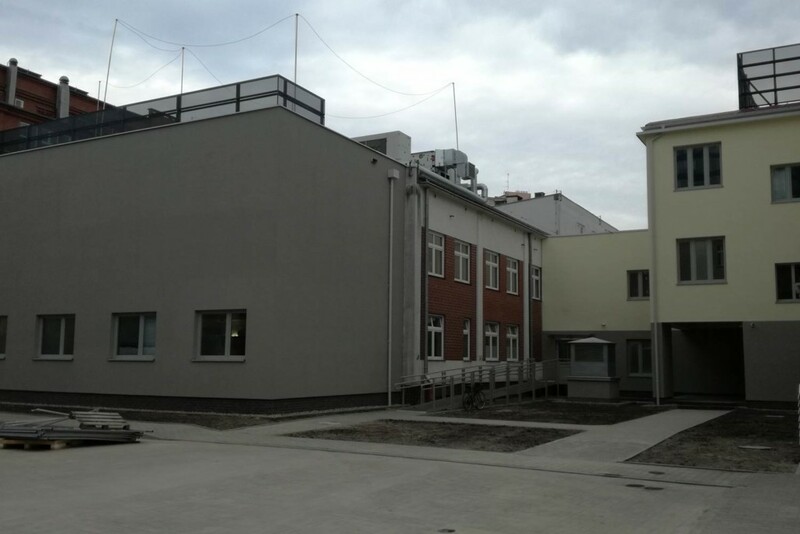 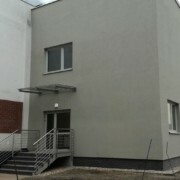 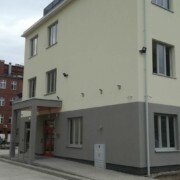 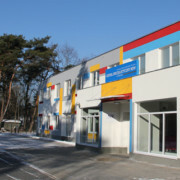 Construction of a new building of the Regional Blood Donor Center in Bialystok Regional Branch in Hajnowka. 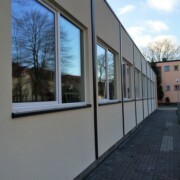 The investment involved the production, delivery and assembly of fully prefabricated high-prefabrication modules equipped with installations of all industries. 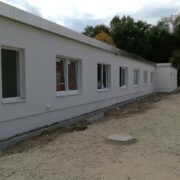 Construction of the hospital pavilion for medical rehabilitation. 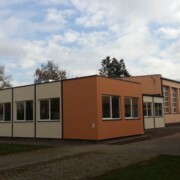 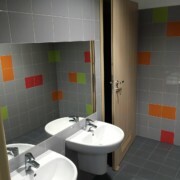 Construction in modular system and traditional technology. 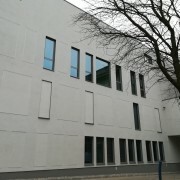 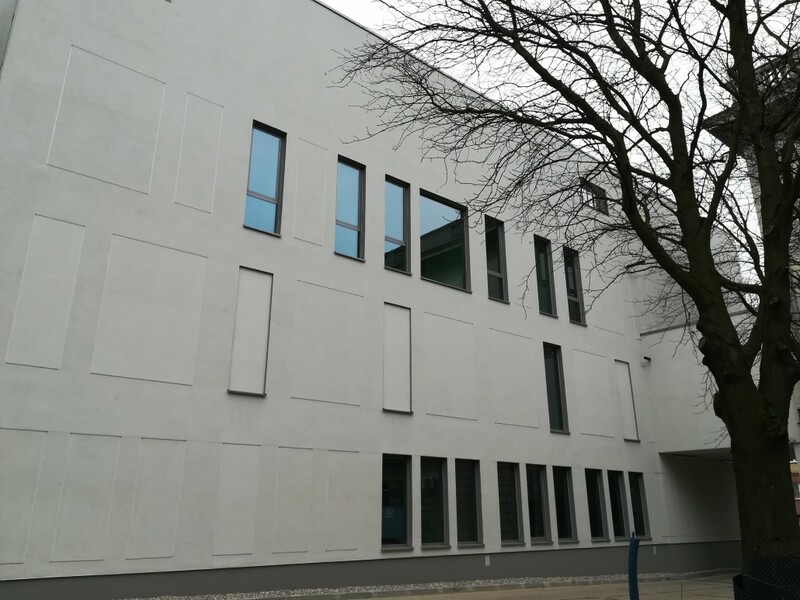 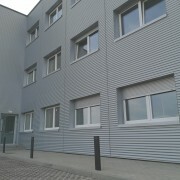 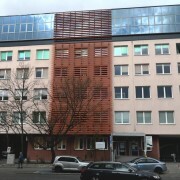 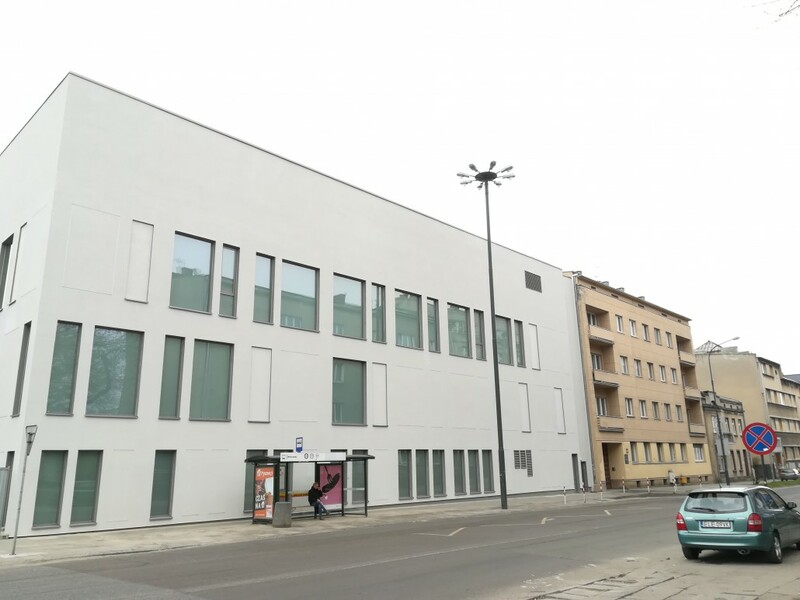 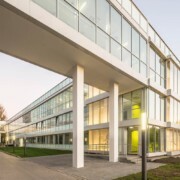 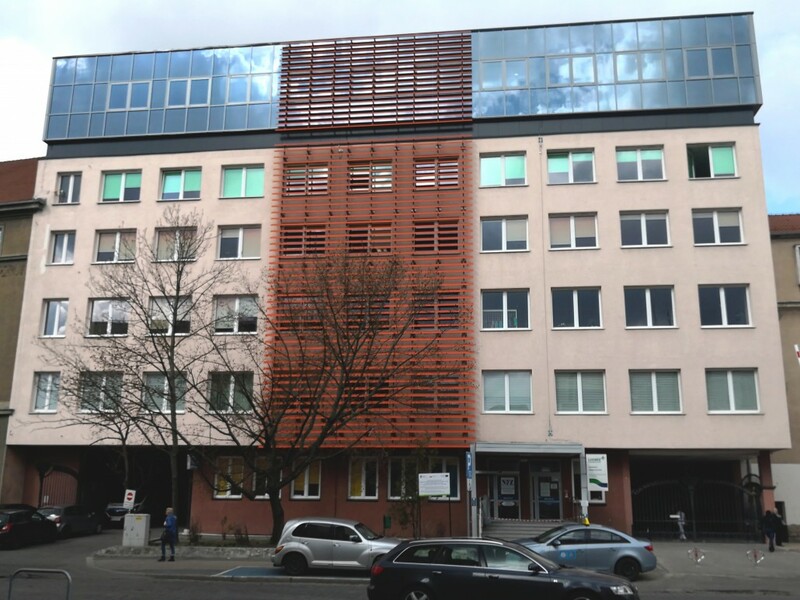 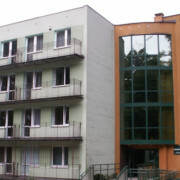 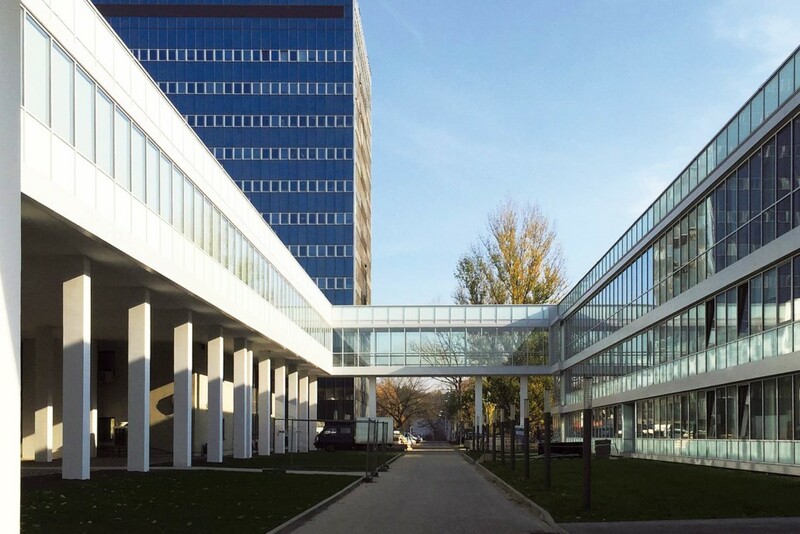 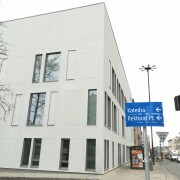 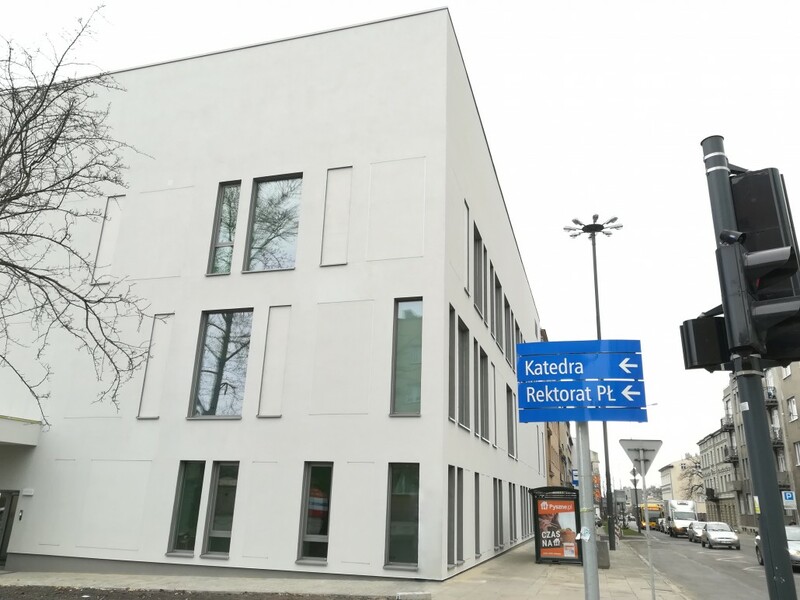 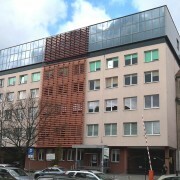 Alignment of Buildings A1 and A2 of the Clinical and Didactic Center of the Medical University of Lodz to a new medical program. 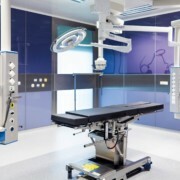 Construction and installation works, delivery of medical equipment and apparatus. 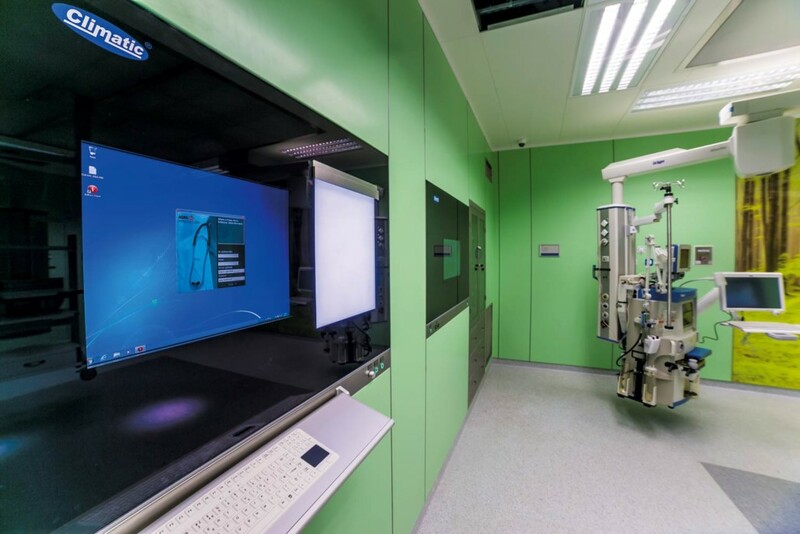 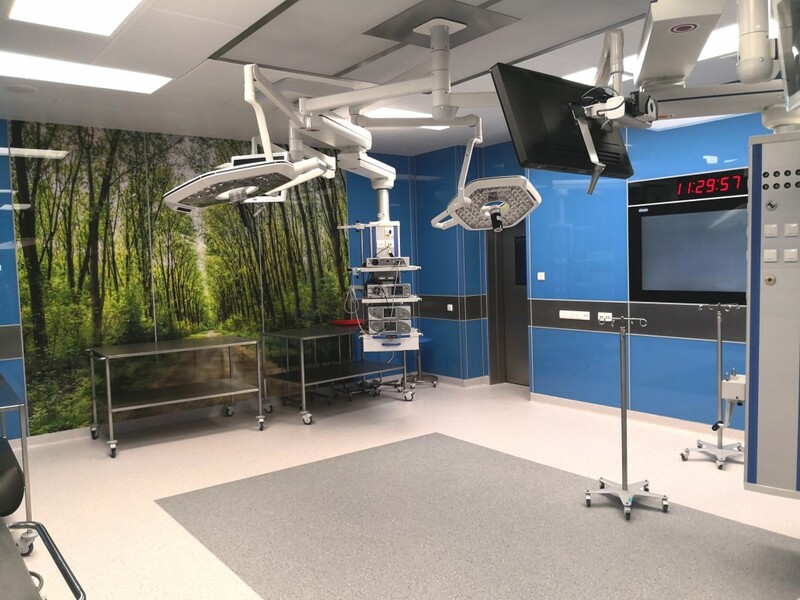 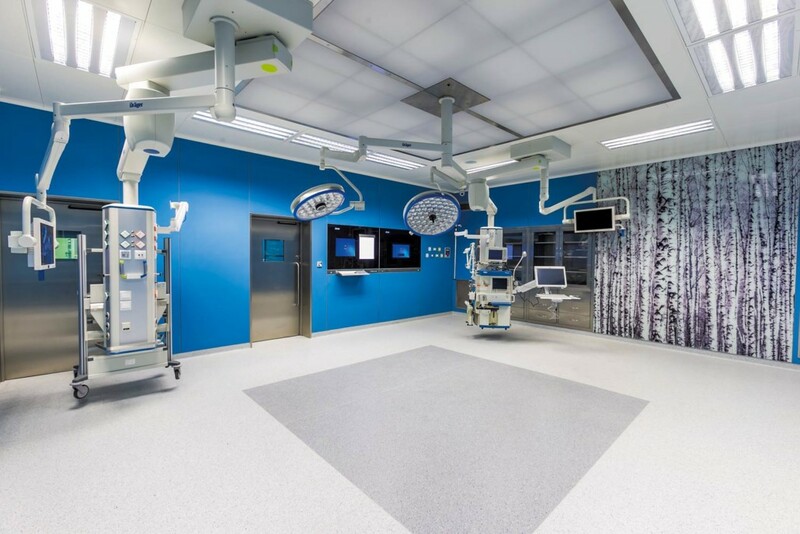 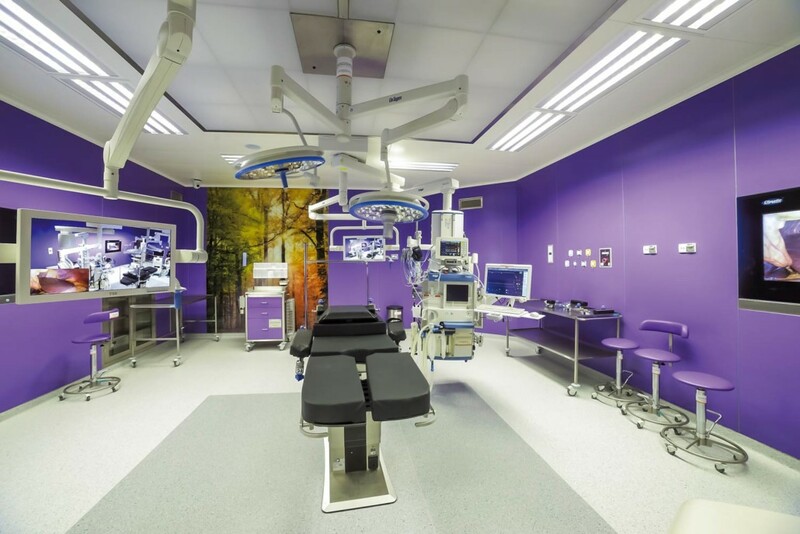 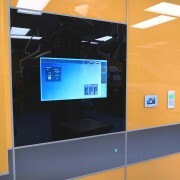 Development of the operating theatre in modular technology. 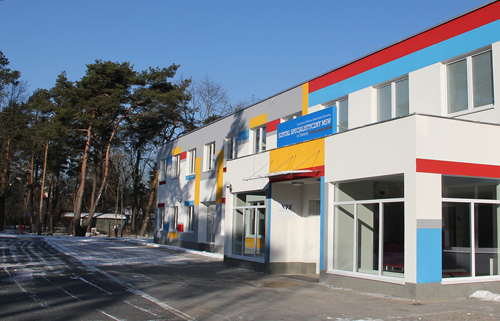 Preparation of project documentation, construction works, delivery of specialized medical equipment. 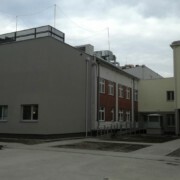 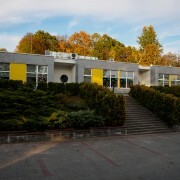 Reconstruction and extension of building A-2. Development of design and technical documentation, construction and installation works, delivery of technical building systems. 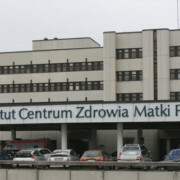 Reconstruction together with the superstructure of the connector in the “G” building of the Specialized Hospital in Wroclaw. 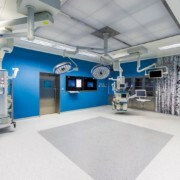 Preparation of design documentation, construction and installation works, delivery of medical equipment and apparatus. 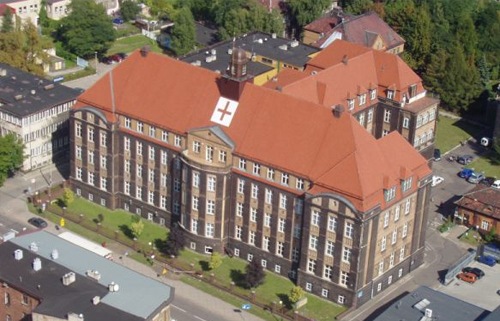 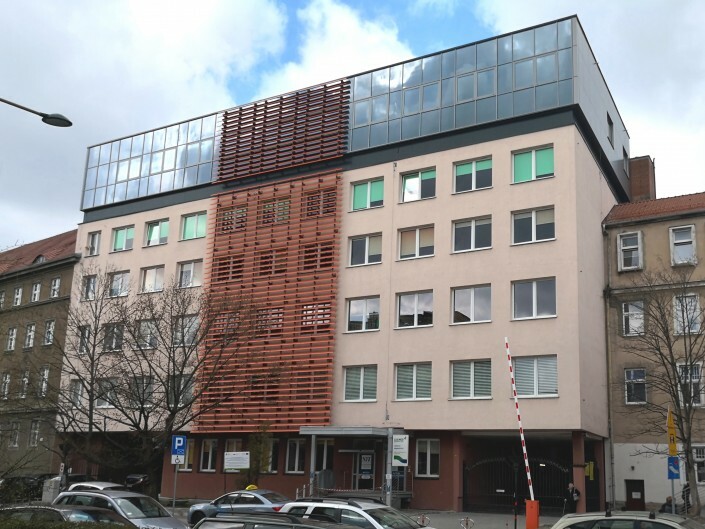 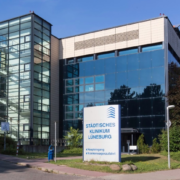 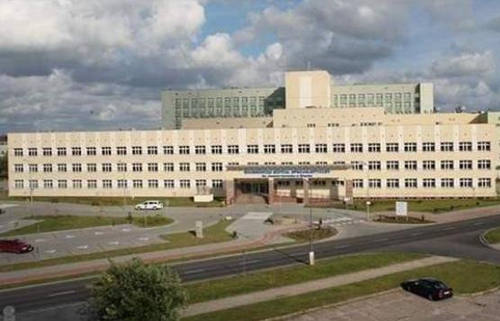 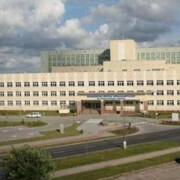 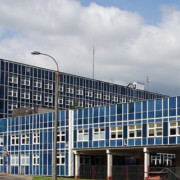 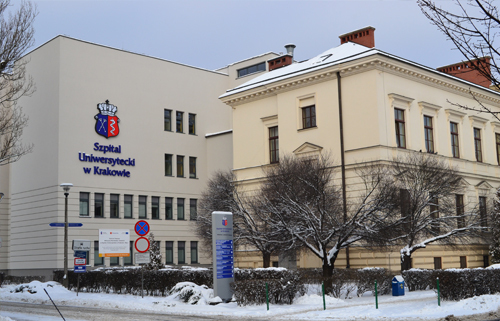 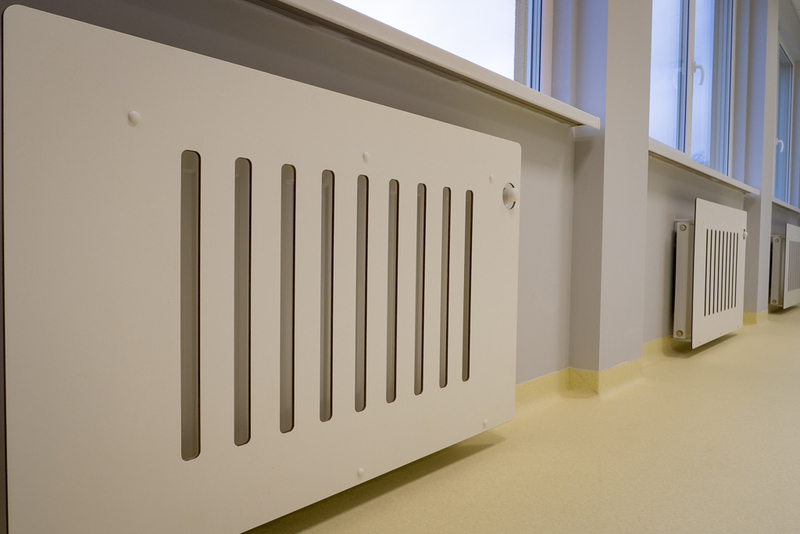 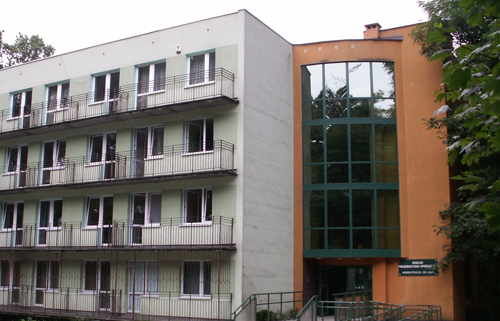 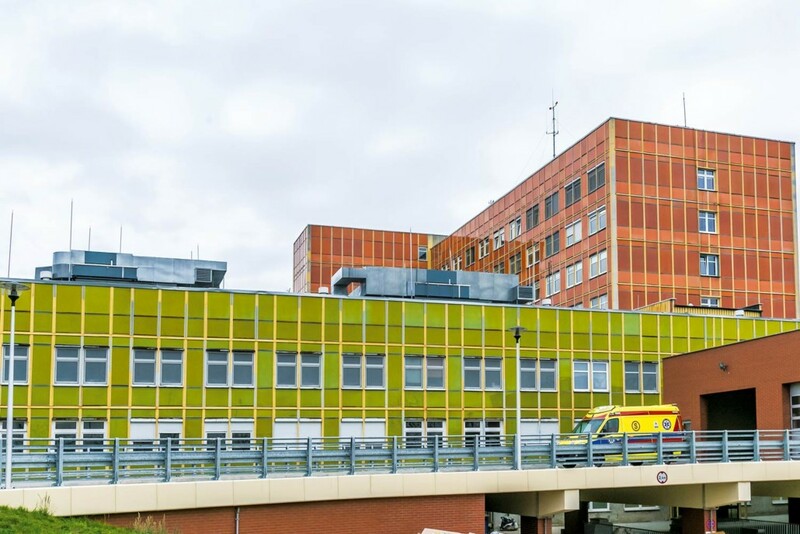 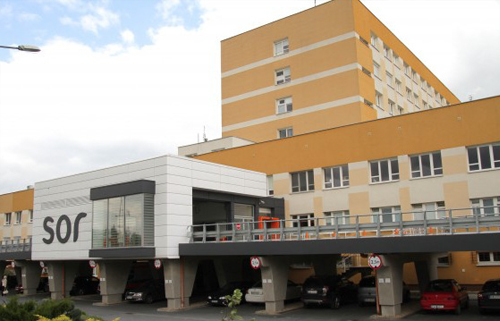 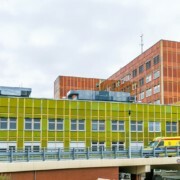 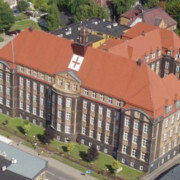 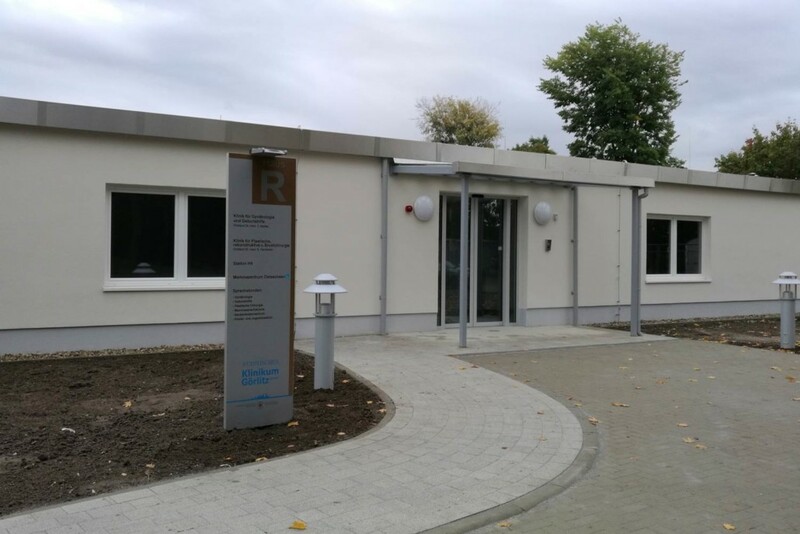 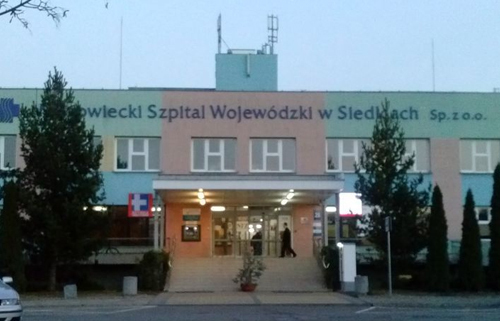 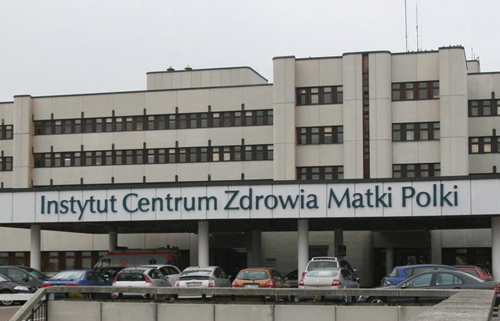 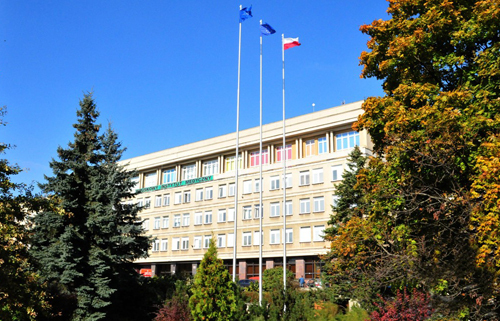 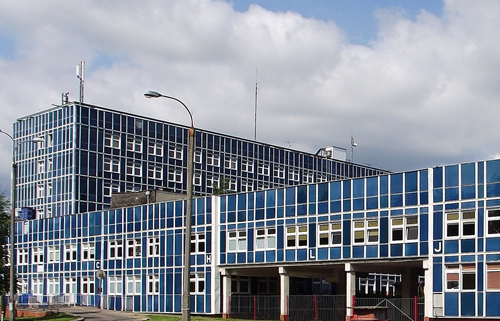 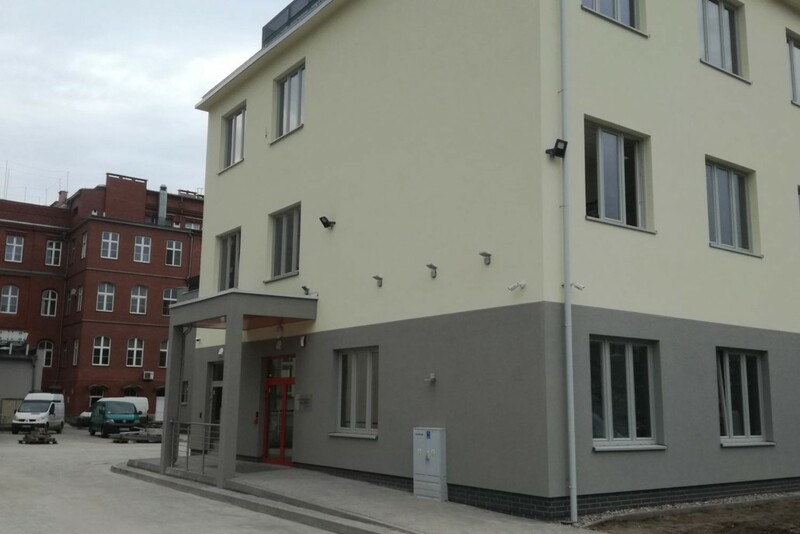 Modernization of the Operational Block and purchase of equipment for the Regional Specialist Hospital in Wrocław. 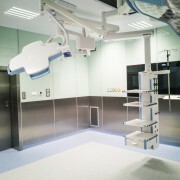 Expansion in modular system, delivery of medical equipment and apparatus. 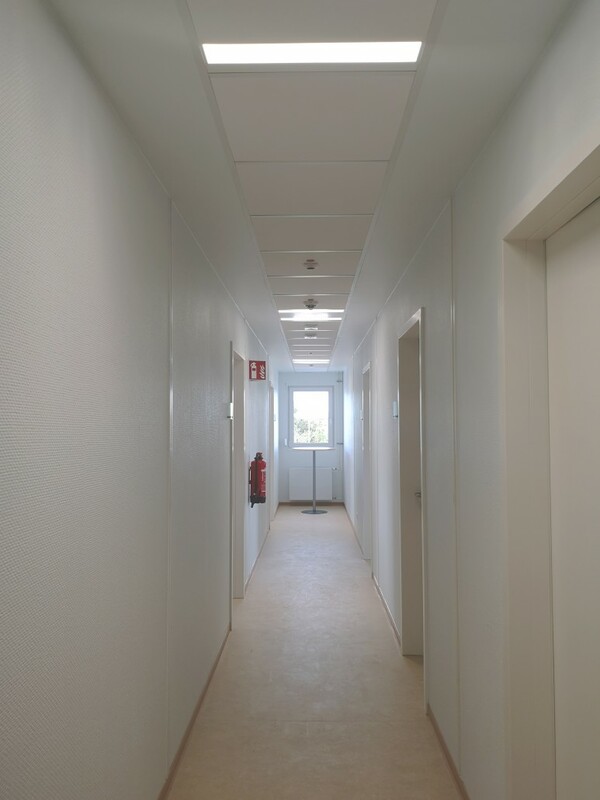 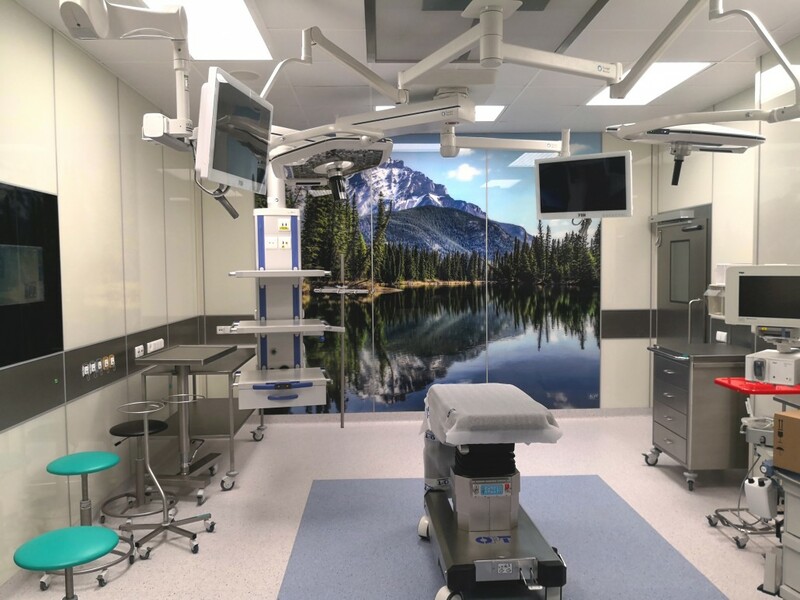 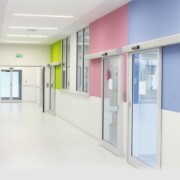 Delivery and installation of wall and ceiling panel system for 6 operating rooms and adjoining rooms. 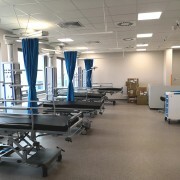 Delivery and installation of medical equipment for the operating theatre. 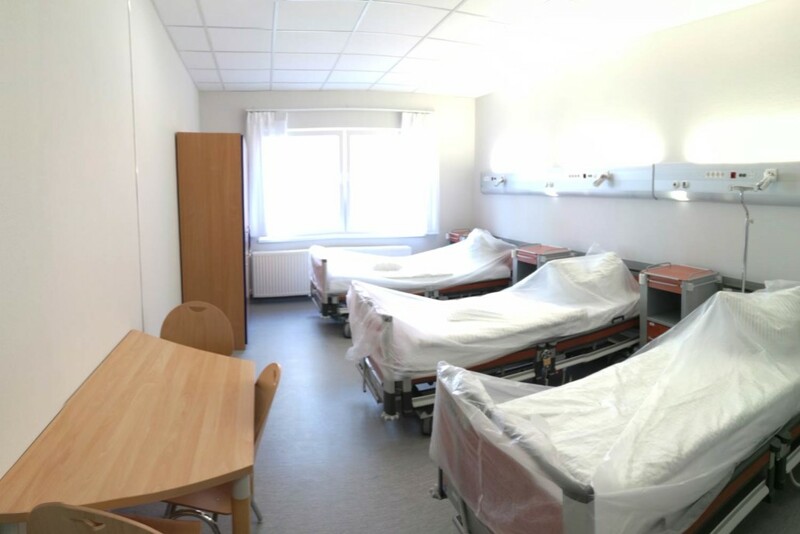 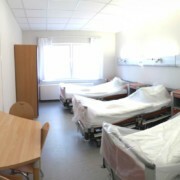 Reconstruction of first floor rooms for the needs of the Anesthesiology and Intensive Therapy Unit. 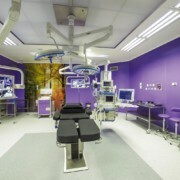 Preparation of design documentation, construction and installation works, delivery of medical equipment and apparatus. 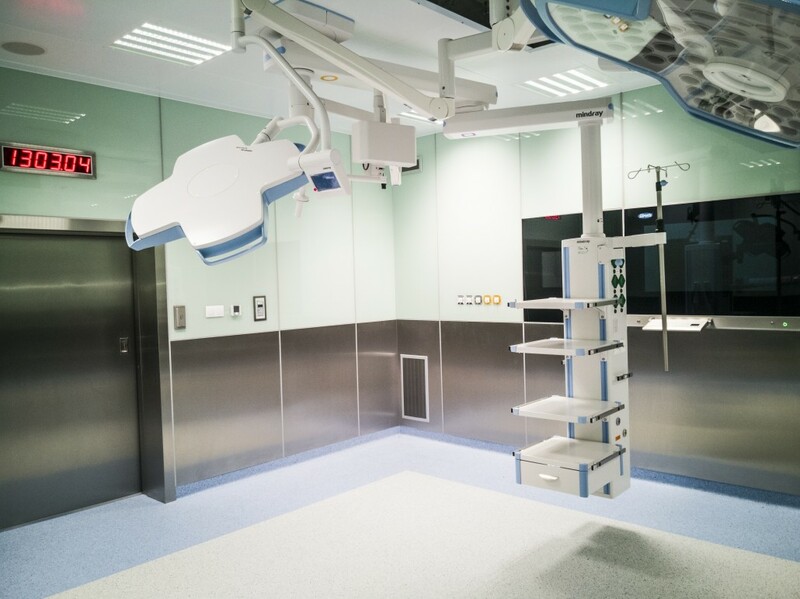 Reconstruction of operating blocks 2 and 3 of the building C, for the needs of the Clinical Department of General, Oncological and Gastroenterological Surgery. 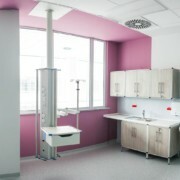 Preparation of design documentation, construction and installation works, delivery of medical equipment. 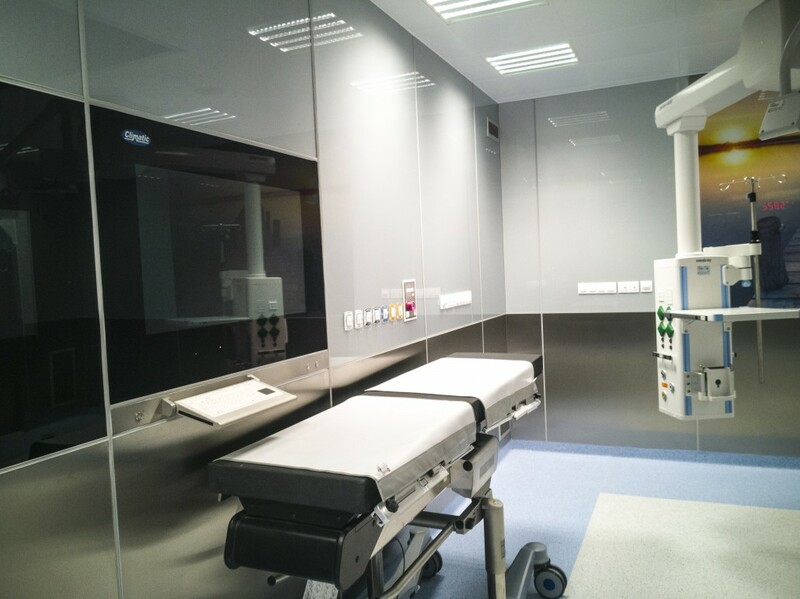 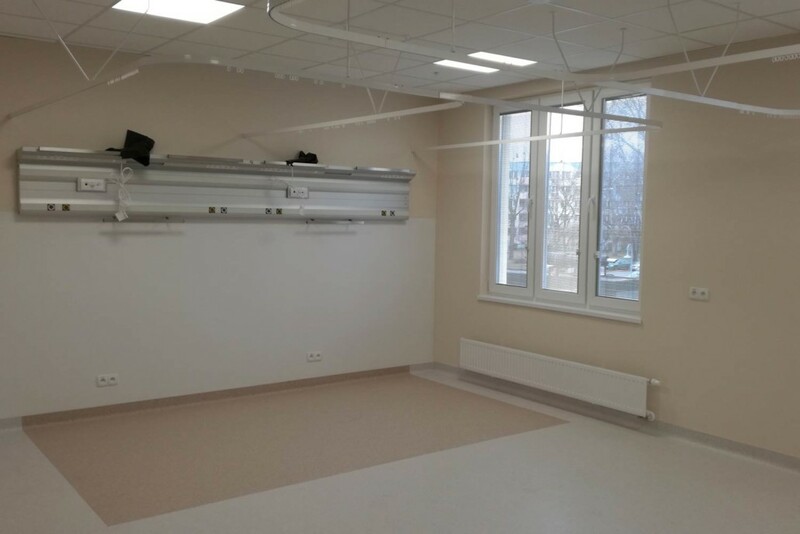 Completion of the reconstruction of the rooms of the operating room of the Orthopedics and Traumatology Clinic on the 5th floor in block B. 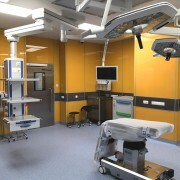 Construction and installation work, delivery of medical equipment and apparatus. 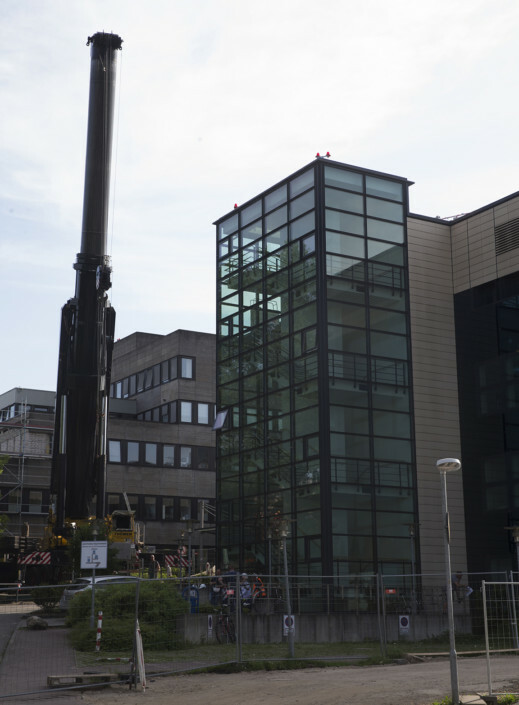 Building a building for the E1-2 connector for Intensive Care Unit and Laboratory of Electrophysiology and Hemodynamics. 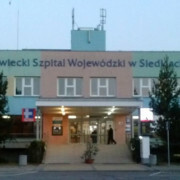 Construction and installation works, delivery of medical equipment and apparatus. 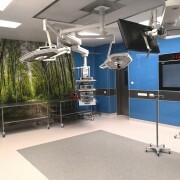 Room adaptation for the needs of angiography lab. 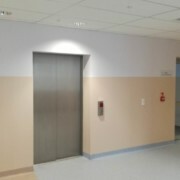 Delivery and installation of wall and ceiling panel system. 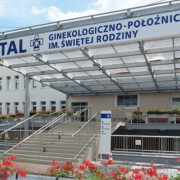 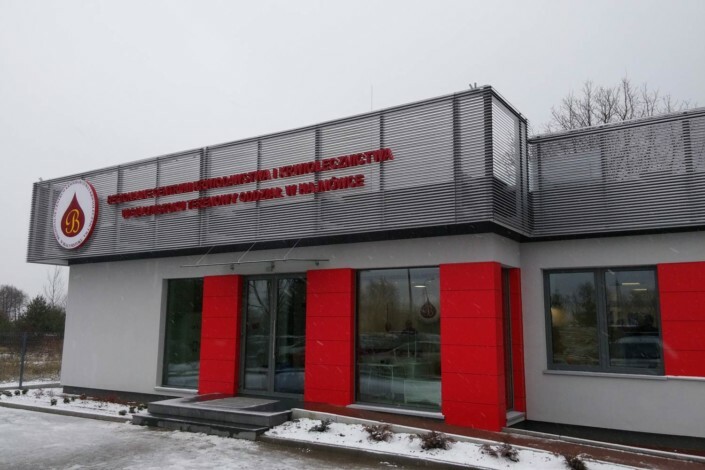 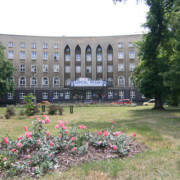 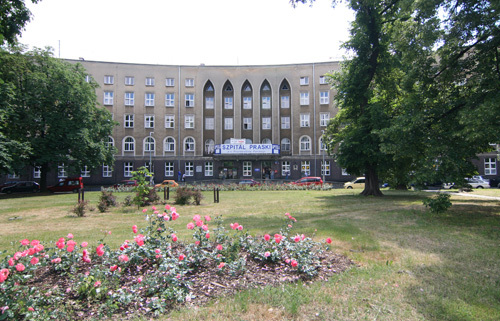 Modernization and expansion of the Diagnostic and Treatment Pavilion in terms of the Operating Theatre and CSSD (Central Sterile Supply Department). 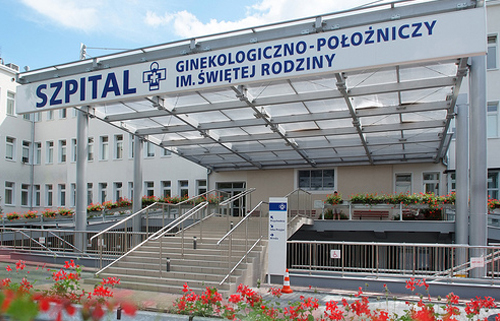 Construction and installation works, supply of medical equipment and apparatus. 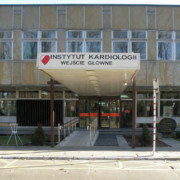 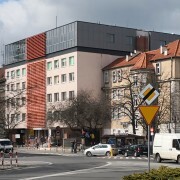 Construction of the Tele radiotherapy in Legnica, as a branch of the Lower Silesian Oncology Center in Wrocław. 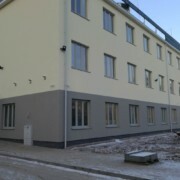 Construction works, technical infrastructure and land use planning, equipment delivery. 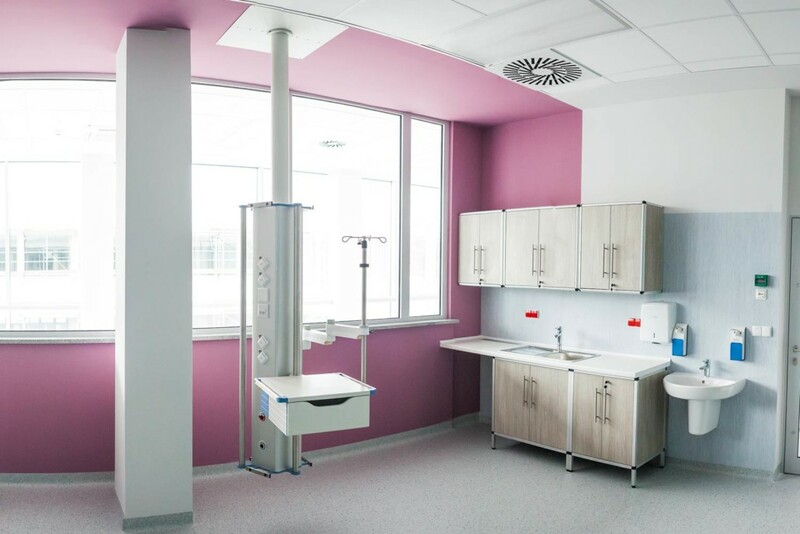 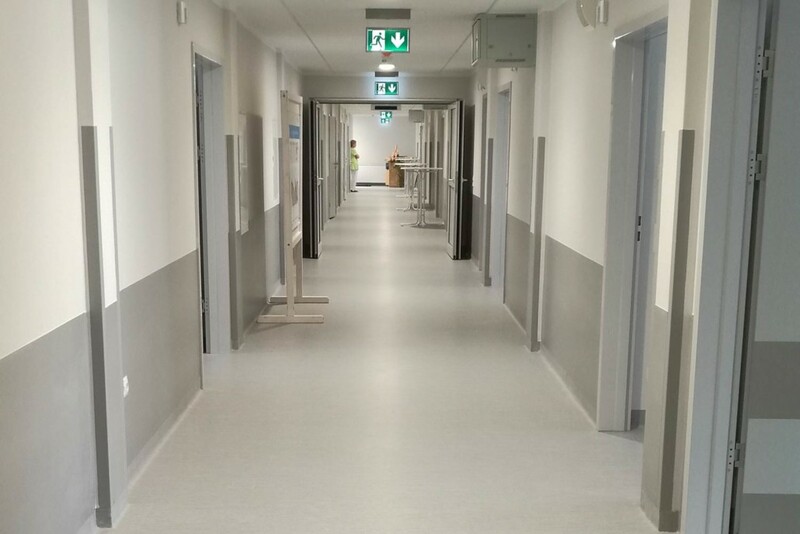 Execution of construction – installation works in the existing facilities of Regional Hospital under Construction in Slupsk. 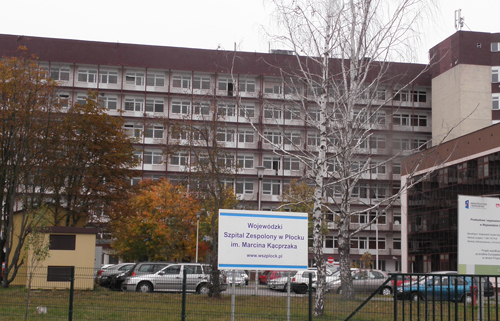 Preparation of the project documentation for the reconstruction and modernization of buildings A, B, C, D, E.
Modernization of the hospital. 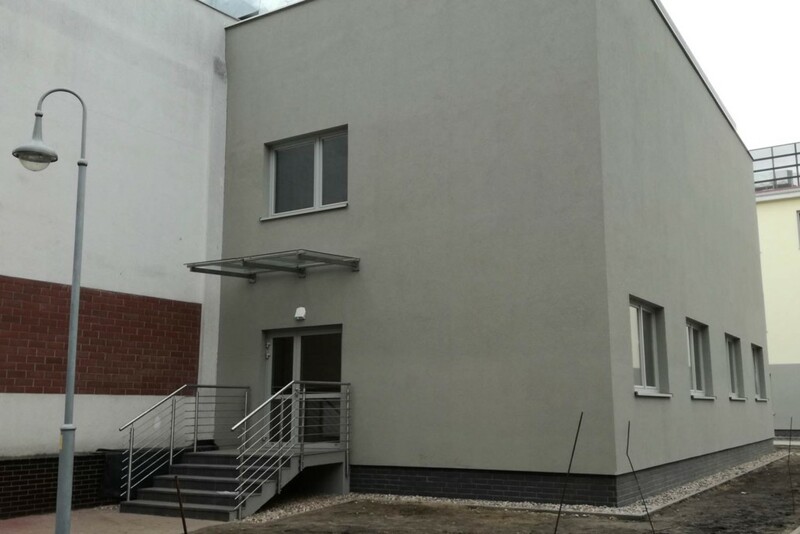 Development of design and technical documentation, construction and installation works, delivery of technical building systems. 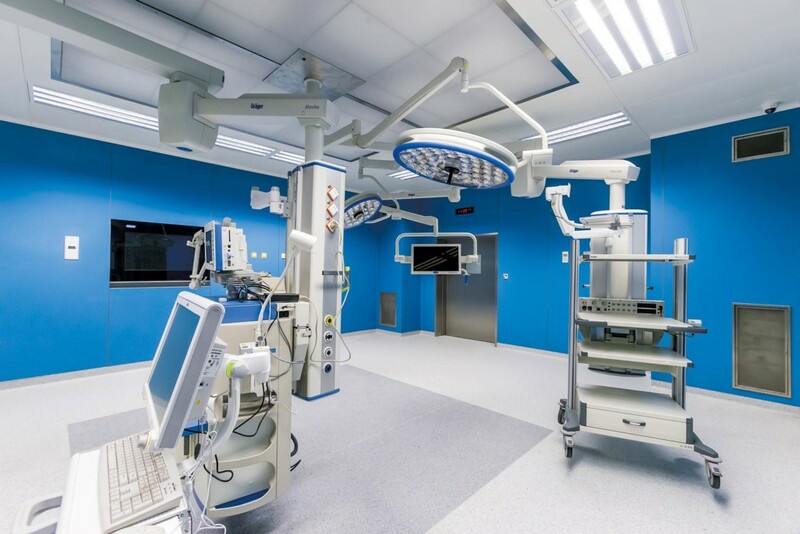 General construction works including ventilation and air conditioning systems (including air recirculation in operating rooms), as part of the modernization of the CSK SP block. 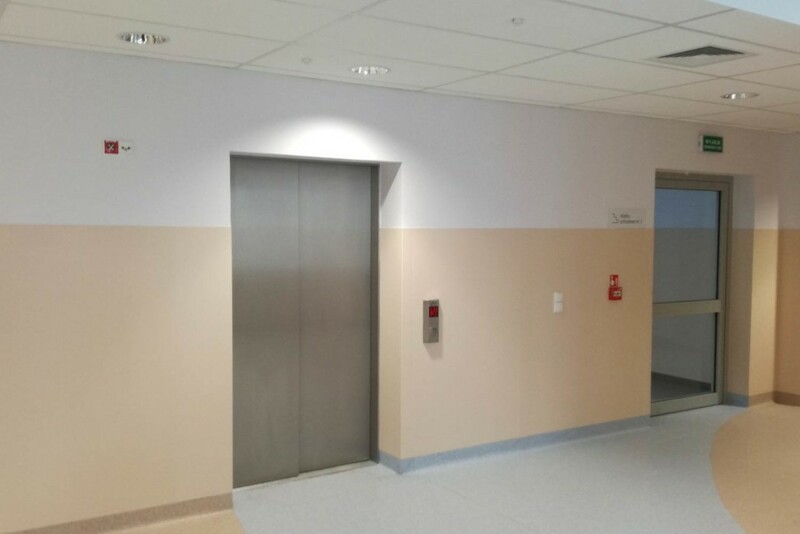 Repair of the operating block in the Gynecological and Obstetric Hospital Building (Building A, Level 0, Sections 5 and 8). 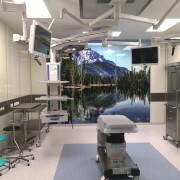 Preparation of design documentation, construction and installation works, delivery of medical equipment and apparatus. 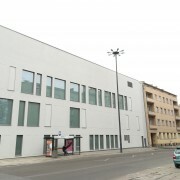 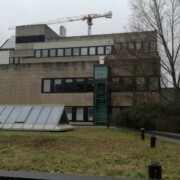 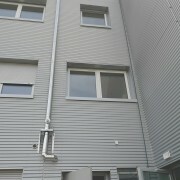 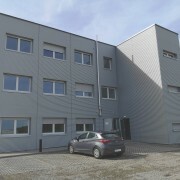 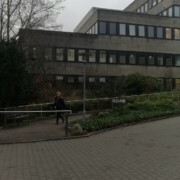 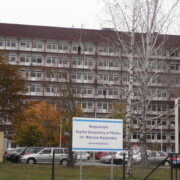 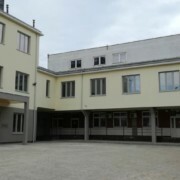 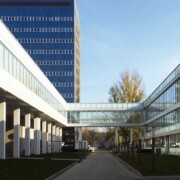 Extension of the hospital – stage II. 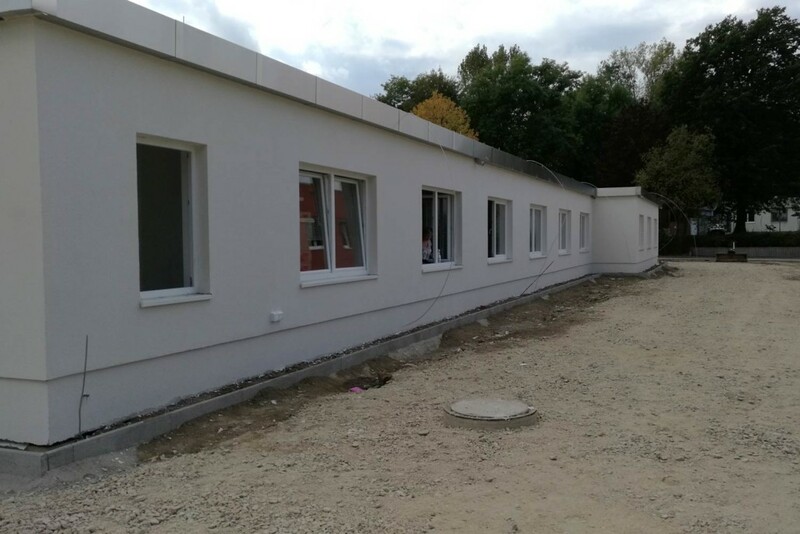 Development of design and technical documentation, construction and installation works, delivery of technical building systems. 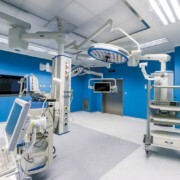 Reconstruction and modernization of 6 operating rooms. 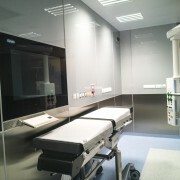 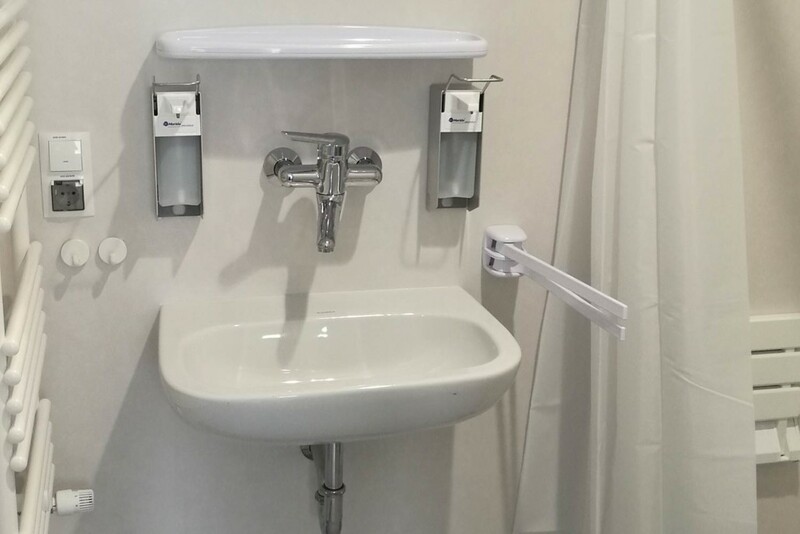 Construction and installation works, delivery and installation of medical equipment. 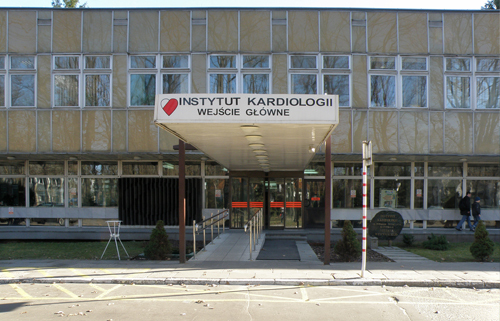 Modernization of the angiography lab to establish Interventional Radiology Department. 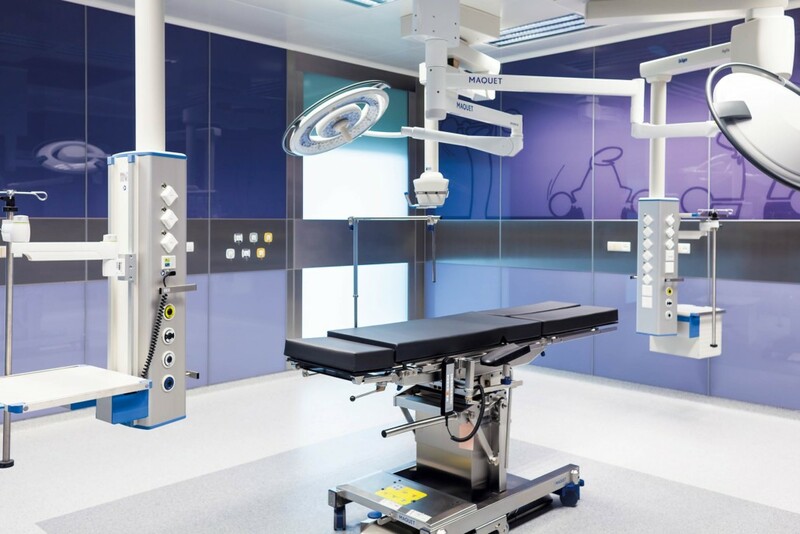 Development of design and technical documentation, construction and installation works, delivery and installation of medical equipment.